I hope you all had a great weekend. 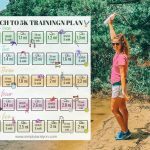 Are you guys excited to start the 150 Mile June Walking Challenge tomorrow? I know I am! 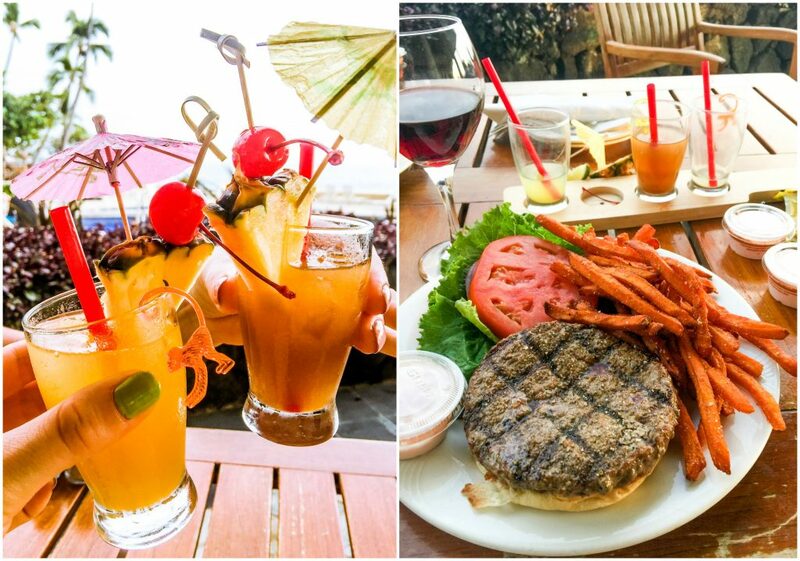 Before I move on to more recipe posts and weekend recaps, I wanted to share the rest of my Hawaii trip! I have to warn you, this post is FILLED with photos. 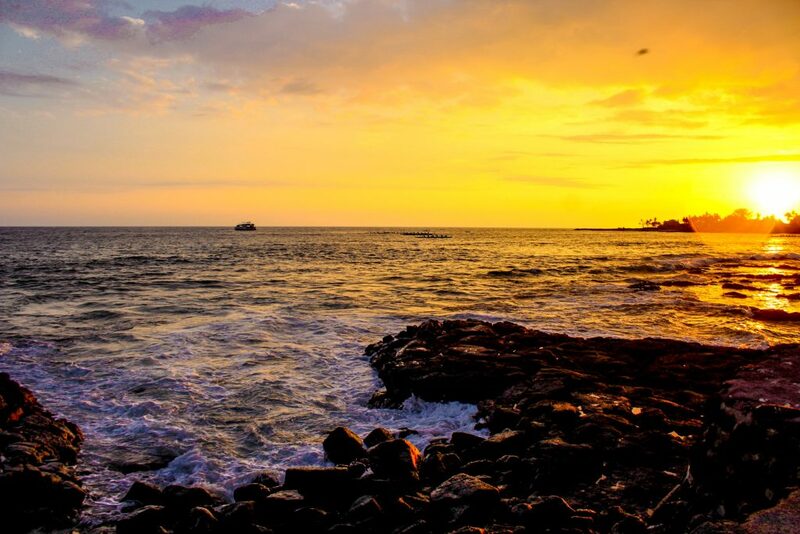 Hawaii is so beautiful and worth every photo captured. I have about 2500 still on my memory card. 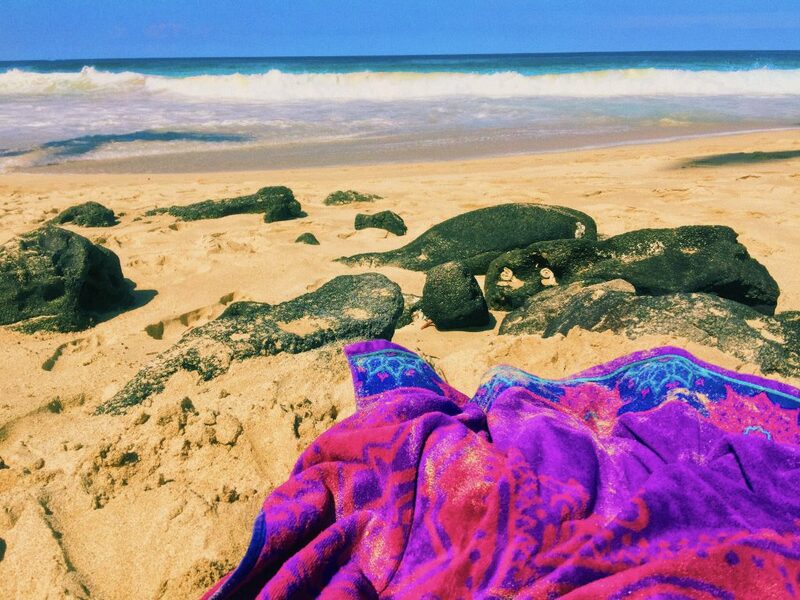 If you missed my first Hawaii post, you can read it here! All of our nights pretty much ended on the back porch watching the sun go down over the ocean. The view was breathtaking. 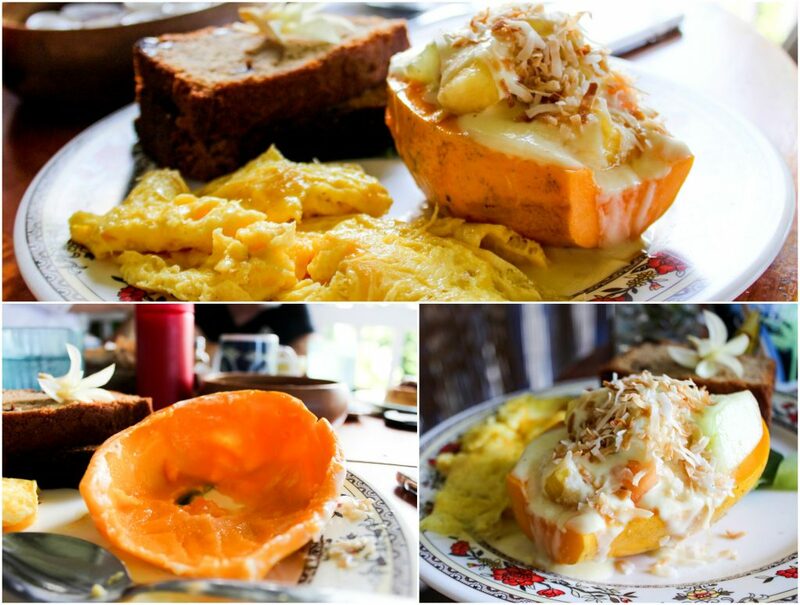 On Thursday night, we made a spaghetti squash dish. 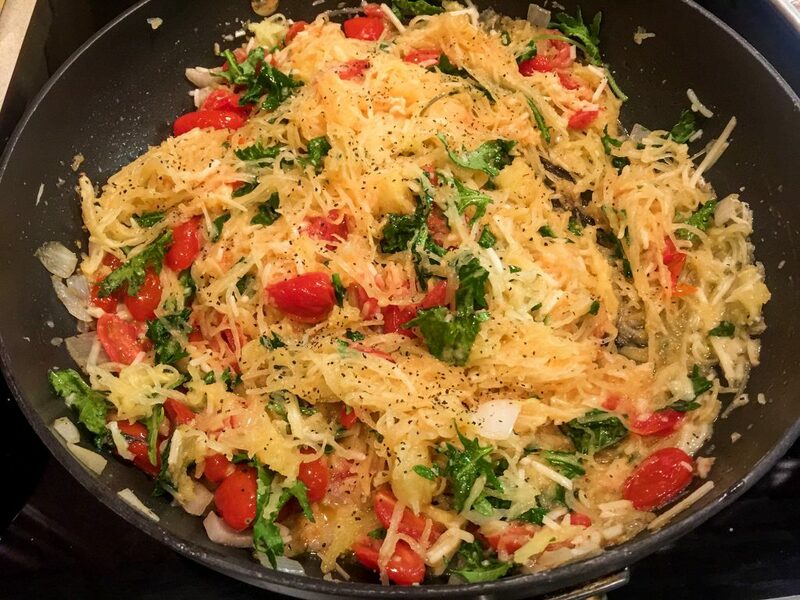 It had tomatoes, kale, garlic, pepper, onion powder, olive oil, parmesan, black pepper, onions, and spaghetti squash. So delicious. I also made my broccoli salad for a side. 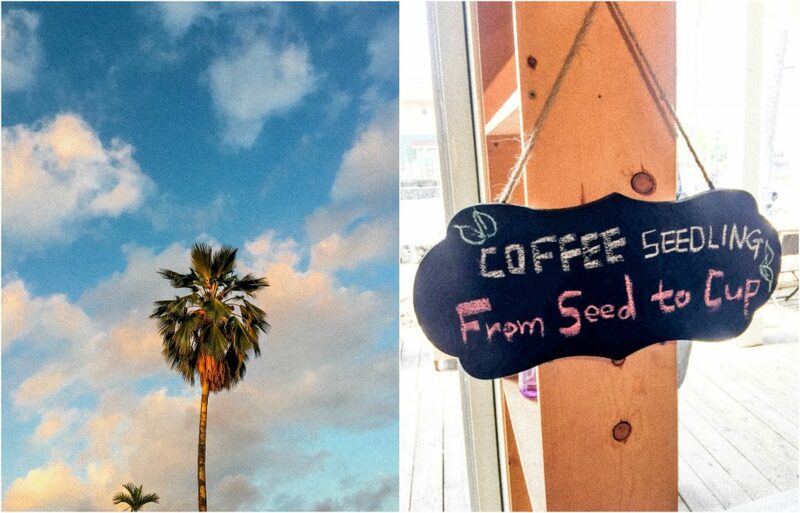 I was excited to visit the Sunshower coffee farm on Friday. That will be a whole separate post 🙂 I learned so much about coffee. 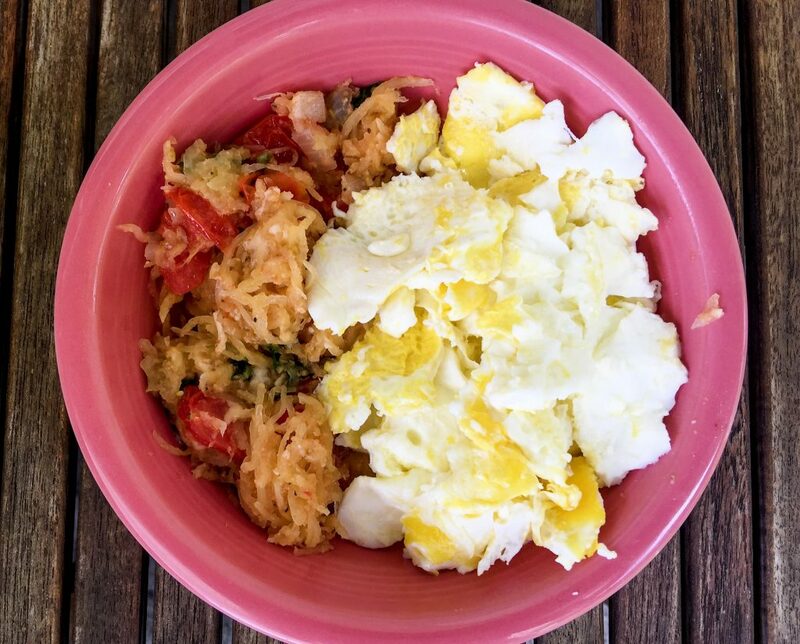 Before I headed out, I made scrambled eggs and had leftover spaghetti squash on the side. 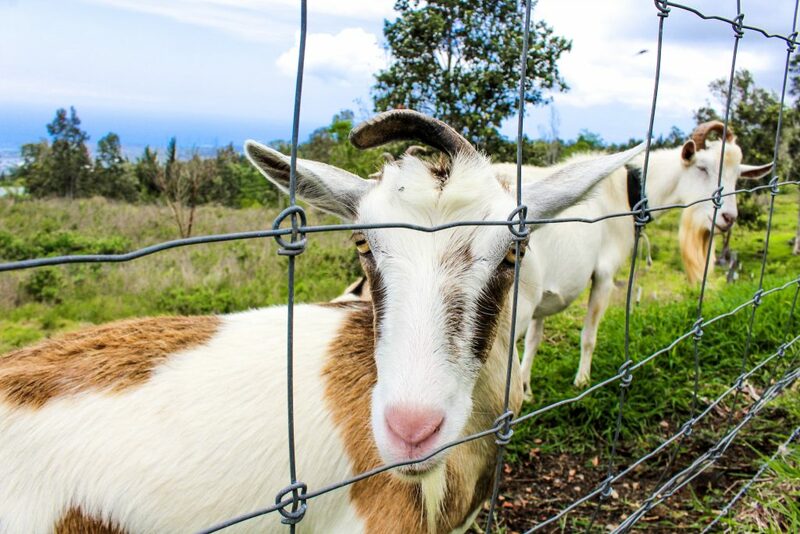 These were the coolest goats ever. They were named after pop stars. 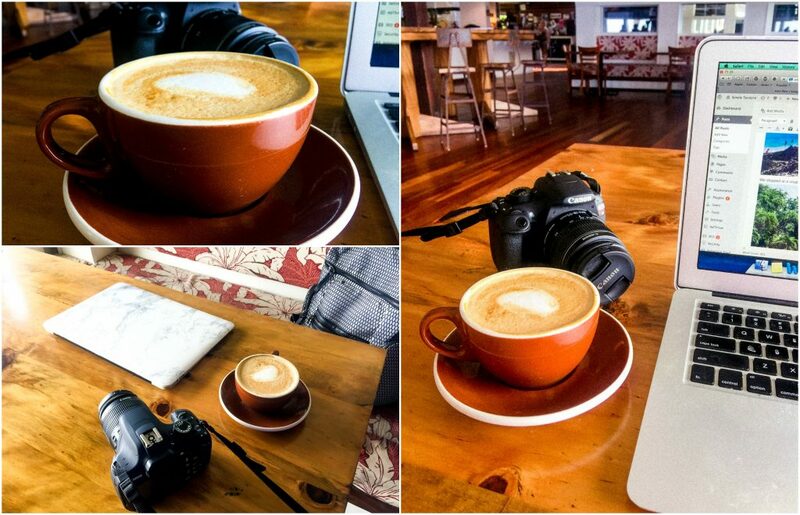 I’ll share more when I write the coffee blog post. When I got back, I took Kona for a long walk up the hill. This was the steepest hill I’ve ever walked up. I felt like I’d roll all the way down if I took one wrong step. This was harder than any mountain trail I’ve ever done (other than camelback mountain.) But the view at the top was worth it. I had leftover spaghetti squash, brussels sprouts, broccoli salad, and sharp cheddar cheese for dinner. I’m now obsessed with Blue Sky Zero Sugar soda. It’s made with Stevia and tastes the closest to actual diet coke! SO GOOD. We all watched The Voice and then I headed to bed around 9 pm. I planned on spending the morning at Daylight Mind to blog. 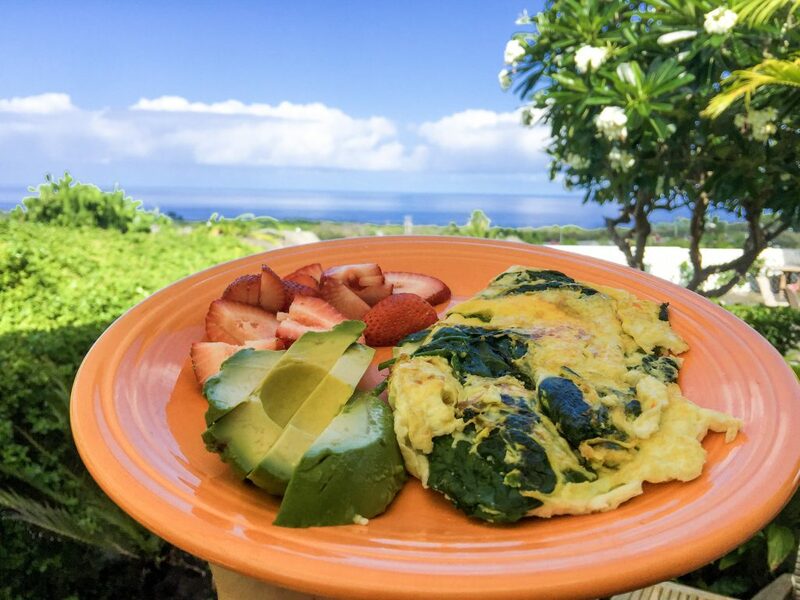 Before I left, I had an omelet with spinach, goat cheese, avocado, and strawberries. 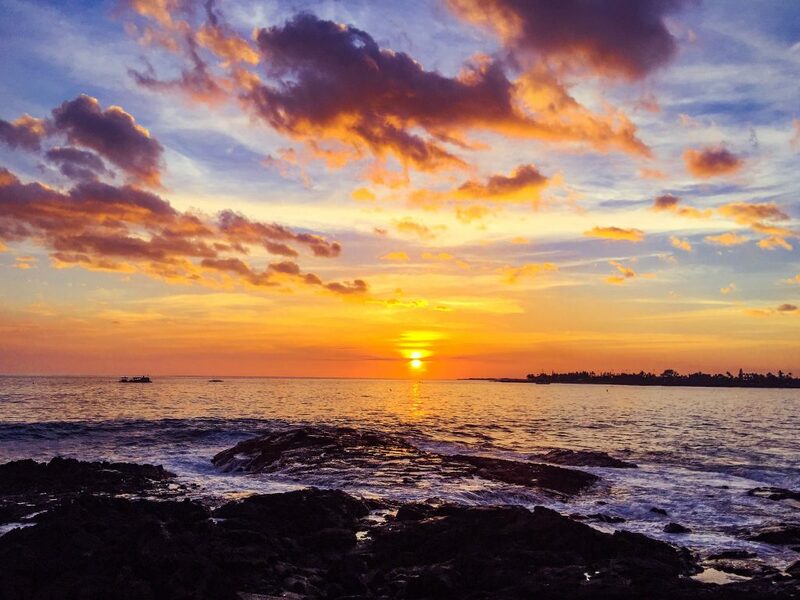 If you do visit Kona and need an awesome spot for yoga, check out Daylight Mind. They have yoga Monday through Friday! Yoga and ocean views? YES. This was the perfect place to sit down and blog. I’m still dreaming of how amazing the coffee was. I had a cappuccino with skim and an extra shot of espresso. 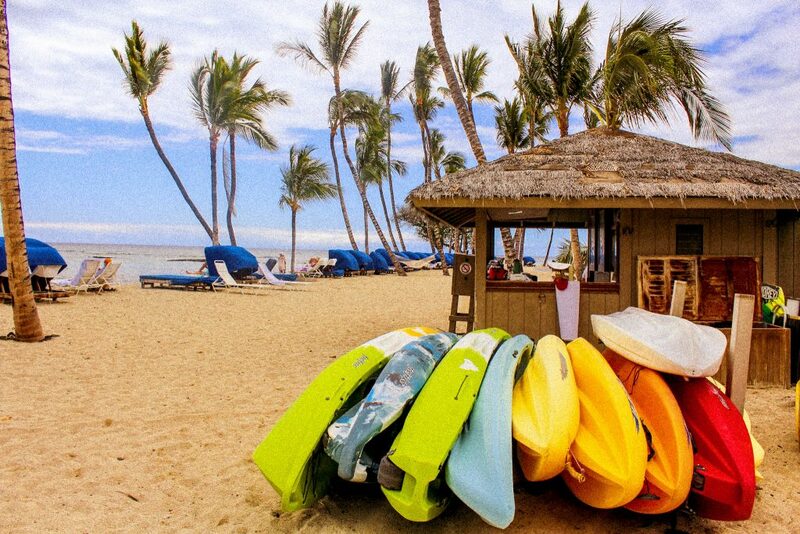 We headed to the Mauna Lani Beach Club when I was done working. 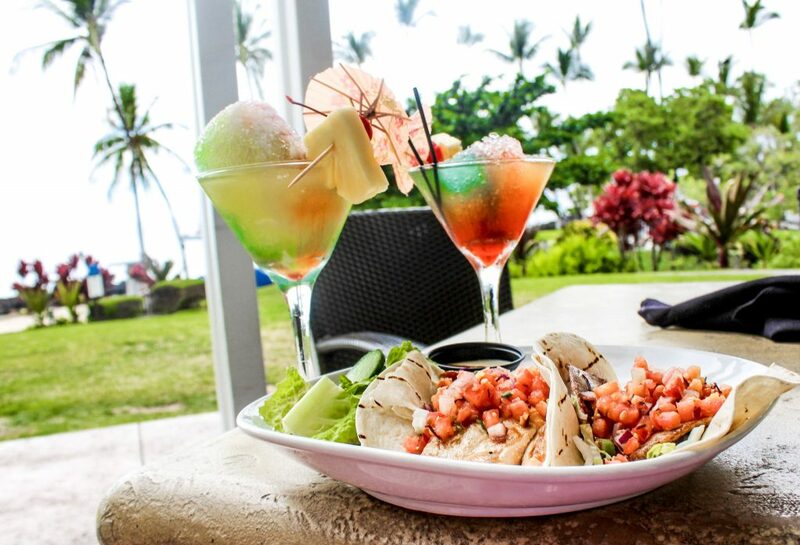 We stopped at Napua Restuarant for fish tacos and martinis. The fish tacos had grilled swordfish and it tasted just like chicken. They were topped with Topped with Kamuela tomato poke and sriracha ginger aioli. I couldn’t get enough of the aioli sauce. 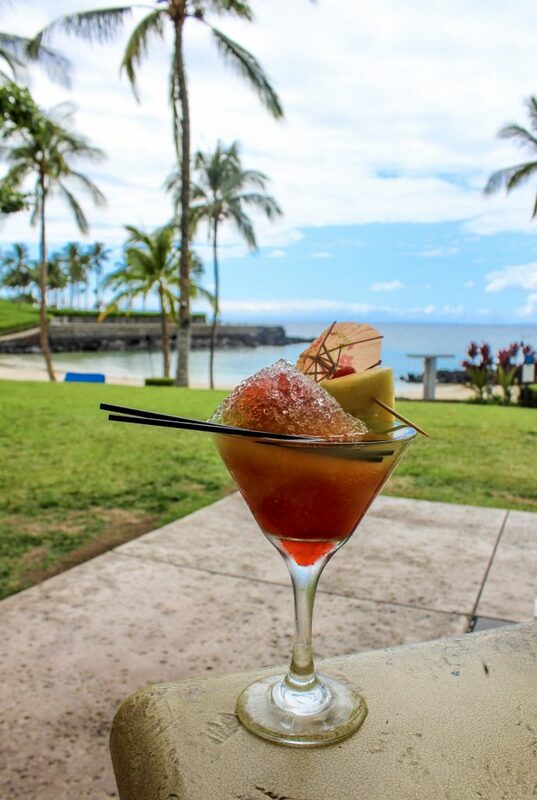 How gorgeous were the shaved ice martinis? After lunch, we stopped at a craft store to buy supplies for Mandala stones. These were so fun to make and I can’t wait to have the girls over for a wine and mandala night. I ended up having popcorn and wine for dinner. 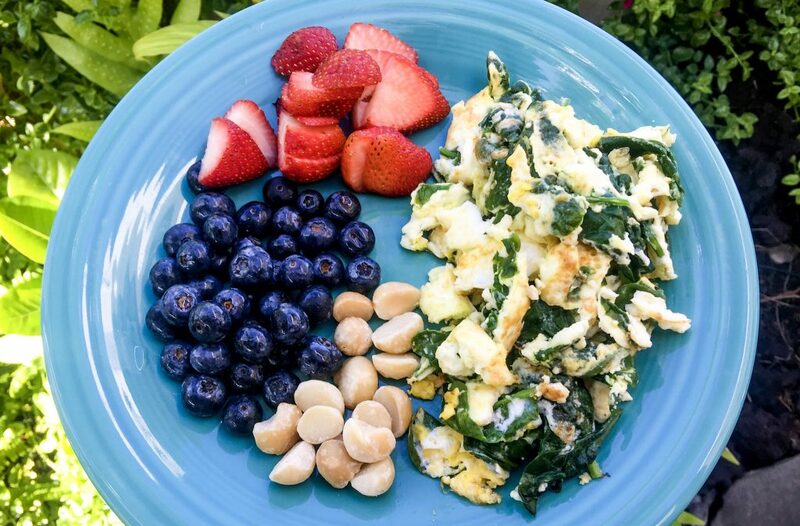 BEACH DAY BREAKFAST: I made scrambled eggs with spinach and goat cheese, macadamia nuts, blueberries, and strawberries for breakfast. 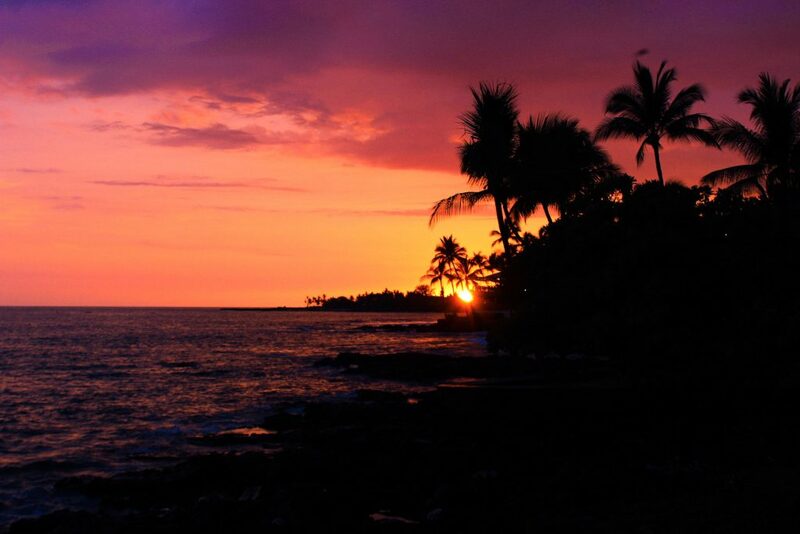 I had been waking up at 4 am every day in Hawaii. I’d start with my coffee and an RXBAR hours before having breakfast. I decided to hit Magic Sands for my beach day. All the red flags were out warning people about the waves, so I stayed back on the shore reading my book. I was there for about five hours watching people get wiped out, break bones, and get completely annihilated by the ocean. The lifeguards were having a very busy day. I started reading “The Four Agreements” and finished it in two hours. It was so good and I felt so inspired to look at life and people differently after reading it. It really forces you to dig into your mind and analyze the way you react or feel about people and situations. If you struggle with low self-esteem, anxiety, or face any struggles with people, you should totally read this book. It was incredible! It is only $7.00 on Amazon. 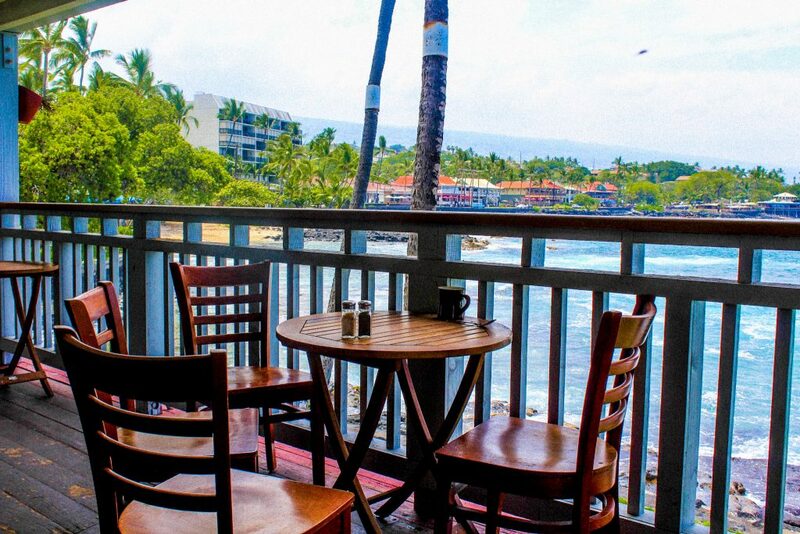 After spending the entire afternoon at the beach, I drove down to Lava Java for lunch. I heard they have incredible breakfast, so I’ll have to try it next time I visit. 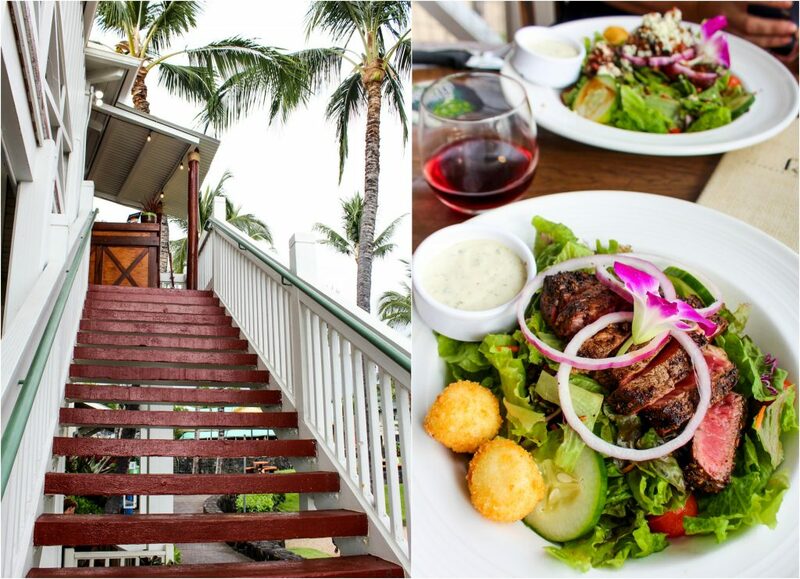 I ordered the Island Lava Java salad. 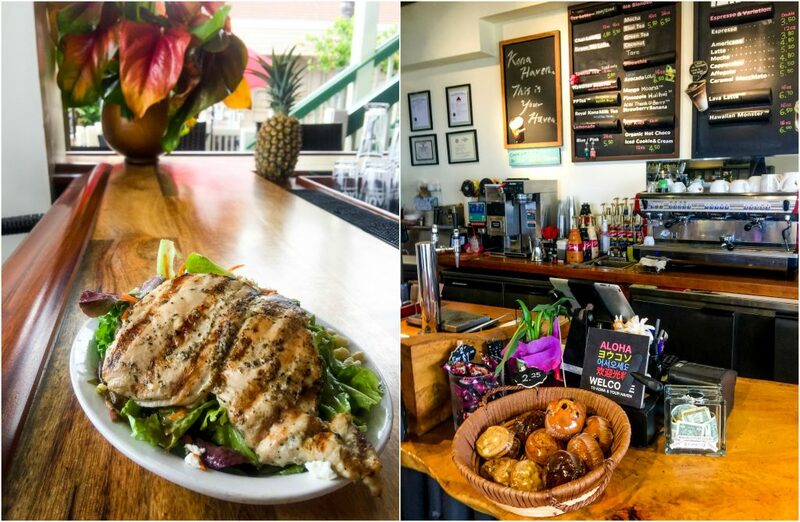 It came with grilled chicken, Lehua Farm’s organic greens, shredded carrots, Big Island goat cheese, Minvista Farm’s macadamia nuts, and tossed in a vinaigrette dressing. 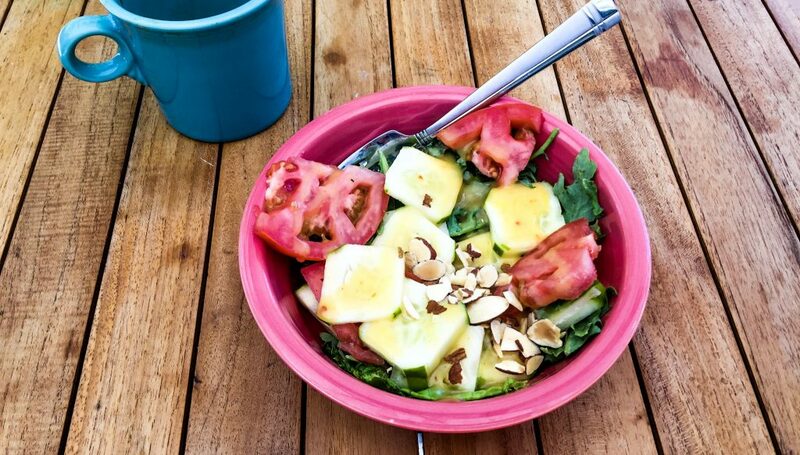 This salad was so fresh and tasty! The chicken was flavored and grilled perfectly. 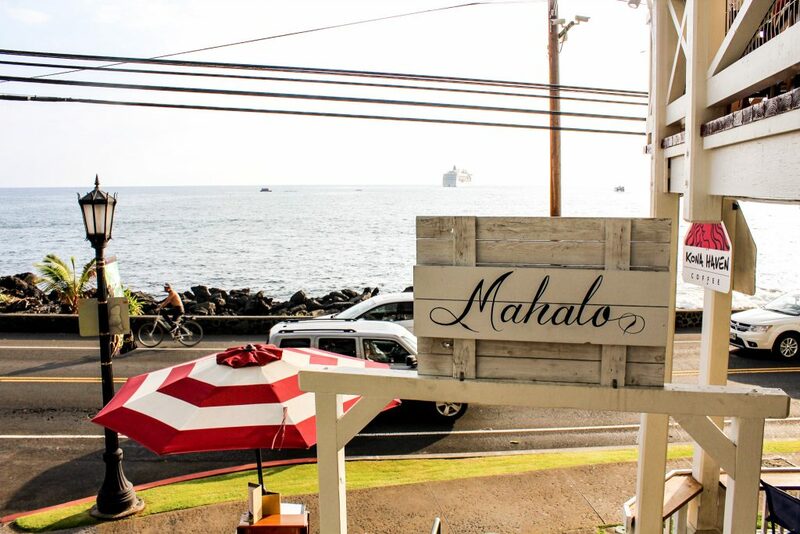 Later on that night, we headed to Don’s Mai Tai Bar for dinner and a sunset view. I had never had a mai tai before, so I was excited to try one! 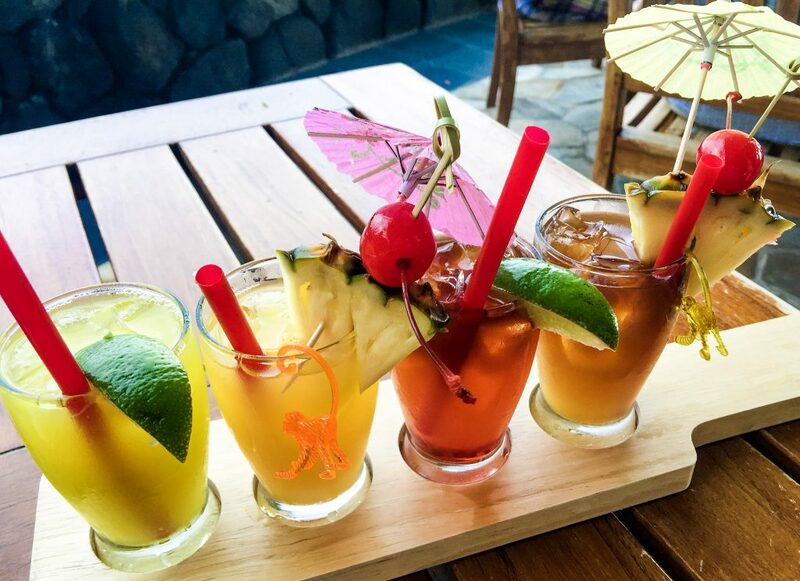 We ordered a flight with all different flavors to try! I ordered a burger for dinner with a side of sweet potato fries. I usually wrap my burgers in lettuce 🙂 I was still full from lunch and too sunburnt for an appetite, so I packed up my food to eat later. I guess I should have put 50 on more than just my face. 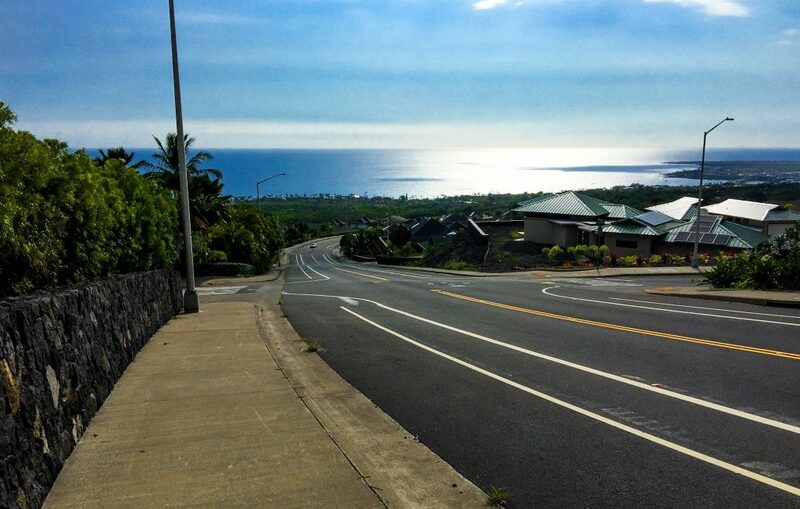 I ended up heading to Basik Acai Bowls for breakfast and going on a long walk in the morning. 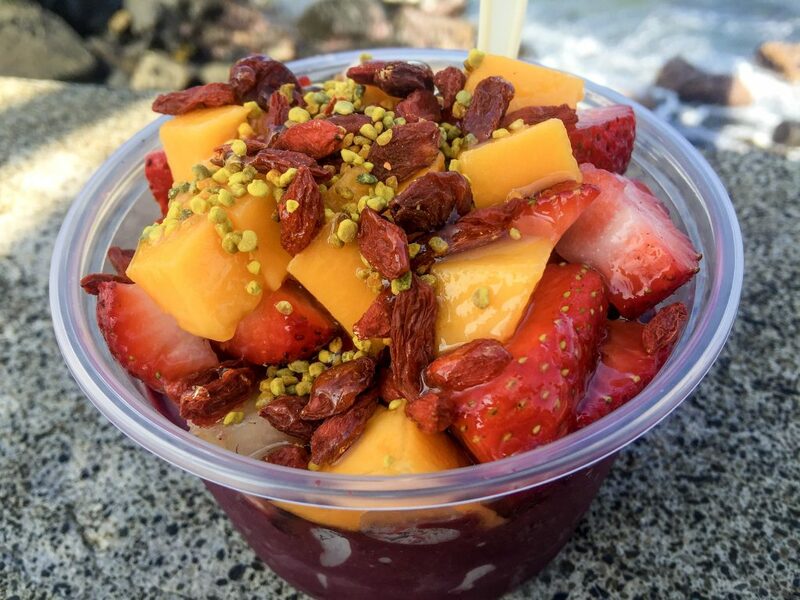 This made me love acai bowls even more! I loved the one I had in Jersey, but this one took the cake! 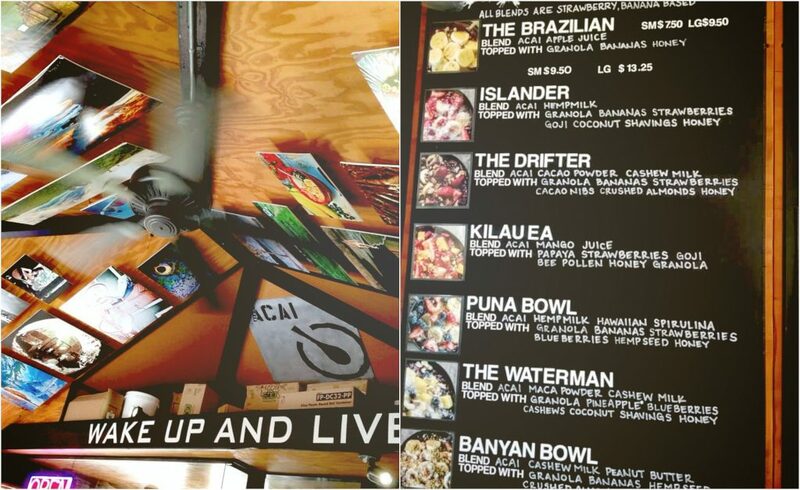 I ordered the Kilauea acai bowl. The blend was acai and mango juice topped with granola, strawberries, papaya, goji berries, bee pollen, and honey! 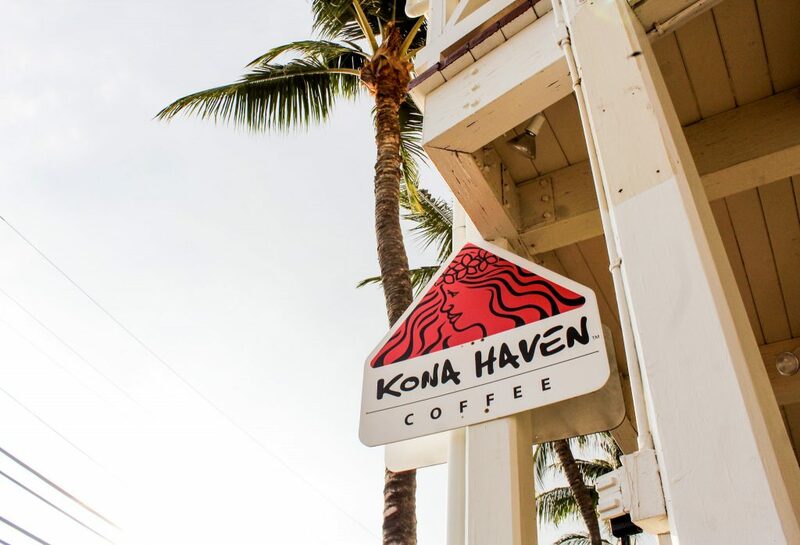 After my walk, I had a green tea latte at Kona Coffee Haven. For dinner, we headed to Umeke’s. 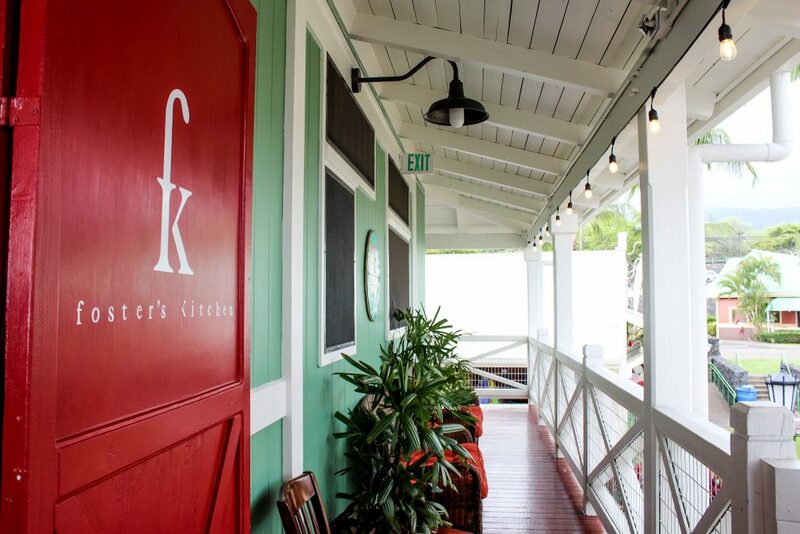 It’s a great local spot with fresh seafood. 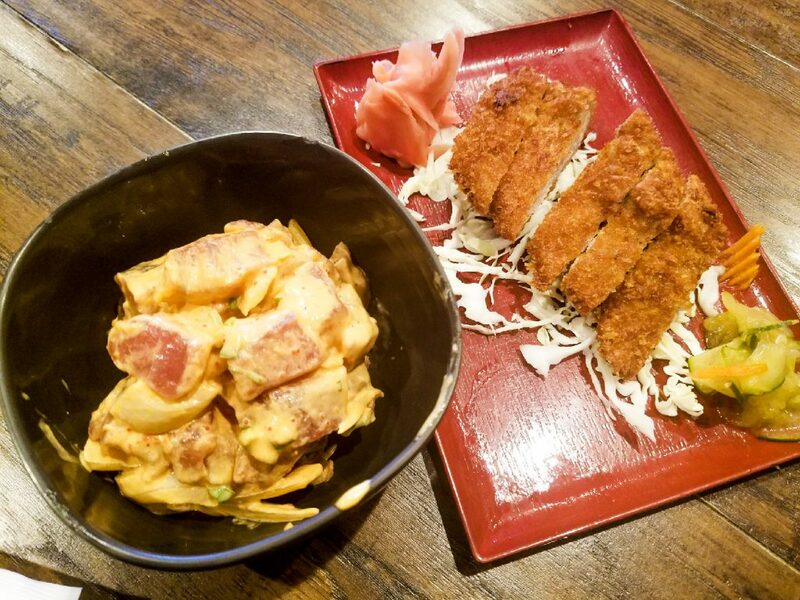 We started with a delicious appetizer: Spicy Poke and Ahi Katsu. I ordered grilled ONO (tastes like chicken), quinoa, and edamame. The ginger aioli sauce was so good. Breakfast: I ended up making a salad with my leftover burger from Don’s mai tai bar. 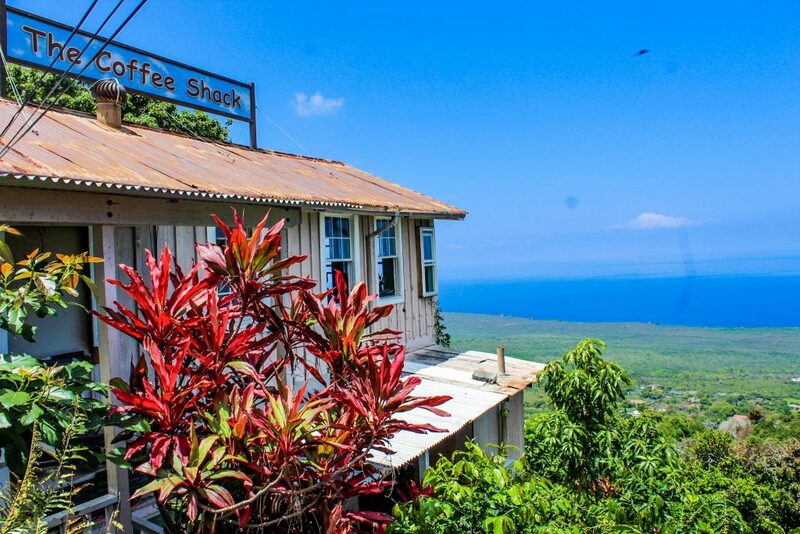 We decided to head up to Hōnaunau and have a late brunch at The Coffee Shack. 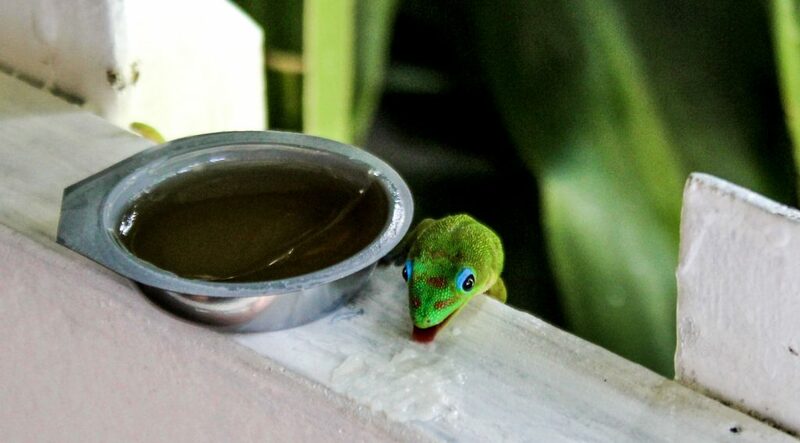 It’s so cute because they keep jelly packets on the railings for the geckos. They come up and eat it. 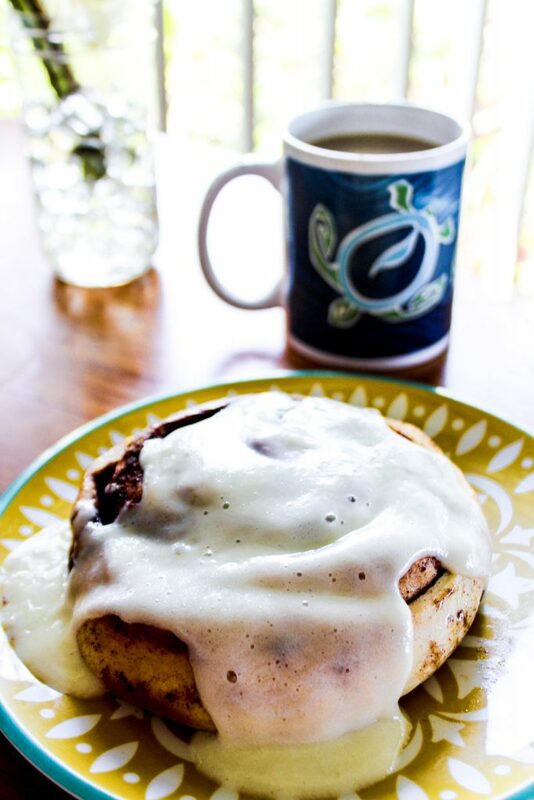 They said I had to try the cinnamon roll because it was the best, so I ordered it for a bite. I didn’t want anything heavy, but I figured I should atleast try it. It was really good. I’ve never been a cream cheese frosting person, so I wasnt tempted to eat the whole thing, thakfully. If you do love cream cheese frosting, order it! I ordered the papaya special for my meal. 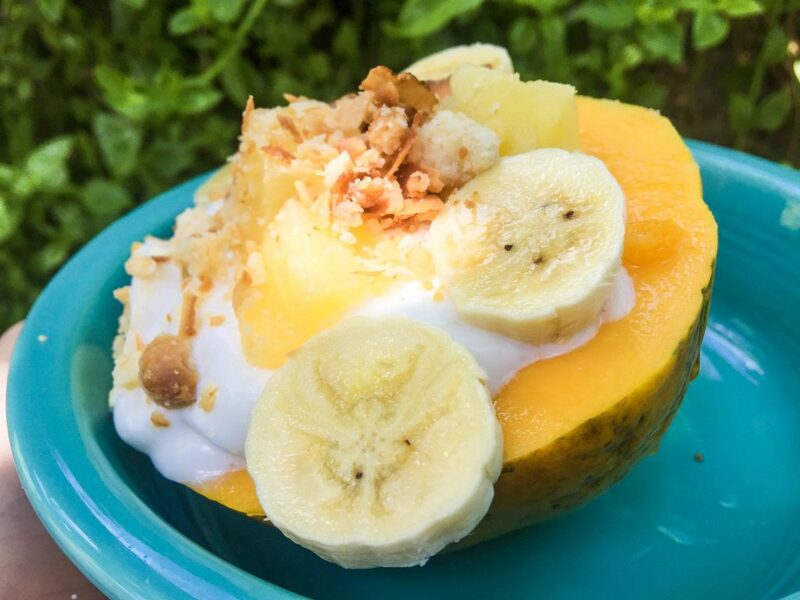 It had 1/2 papaya with melon and pineapple, lilikoi yogurt, and coconut. SO FRESH AND DELICIOUS!! It came with scrambled eggs and fruit pound cake. We drove around a bit exploring the area. 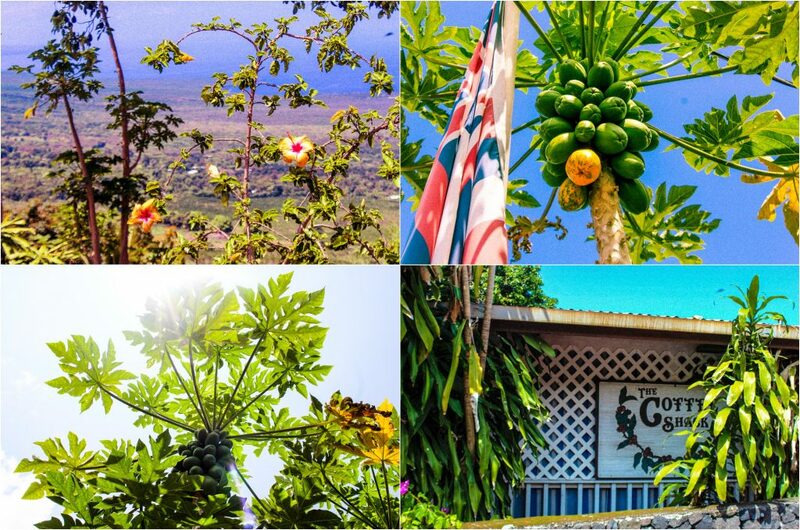 It’s prime fruit season on the Big Island. 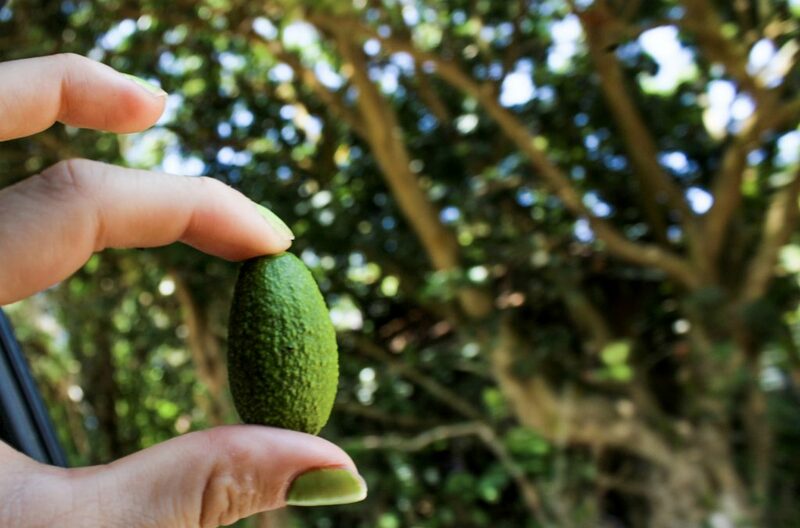 Avocado! 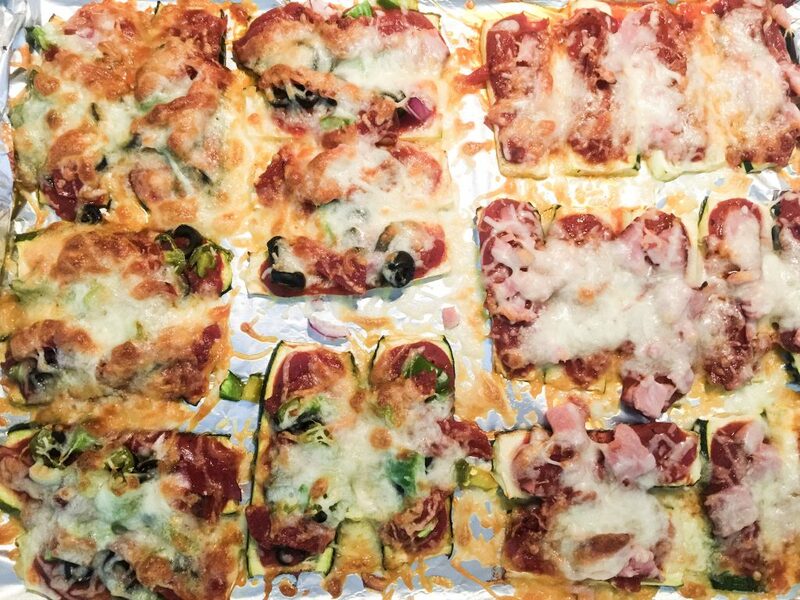 That night, we made zucchini pizzas. We were so tired! 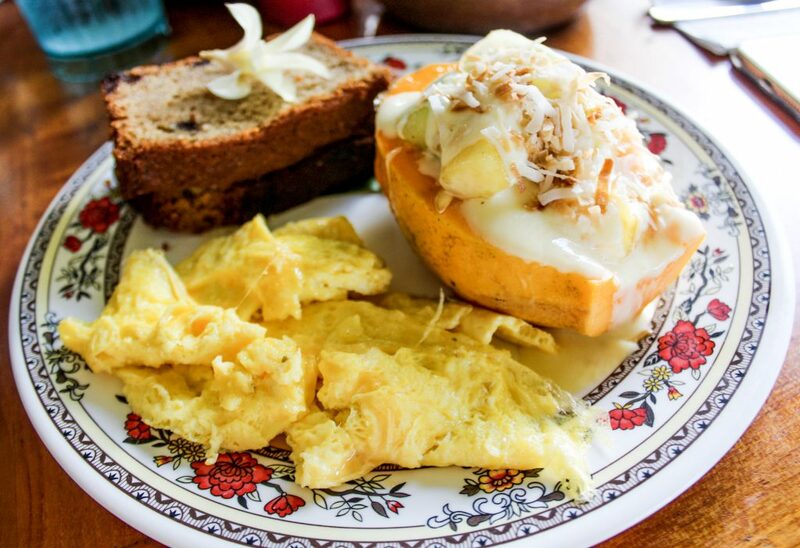 I tried to recreate the papaya with yogurt in the morning. I added Greek yogurt, toasted coconut, macadami nut, and banana on top of mine. 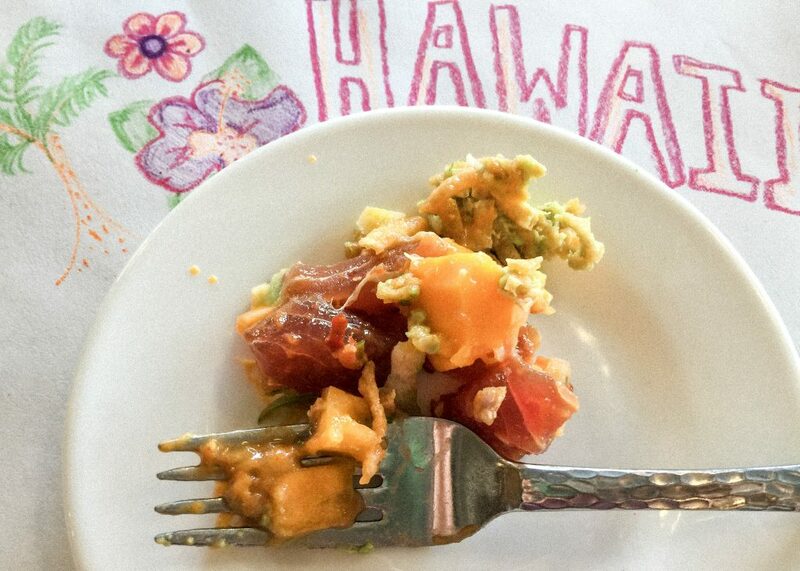 It was really good, but unfortunatly you can’t find Hawaiian papayas here! 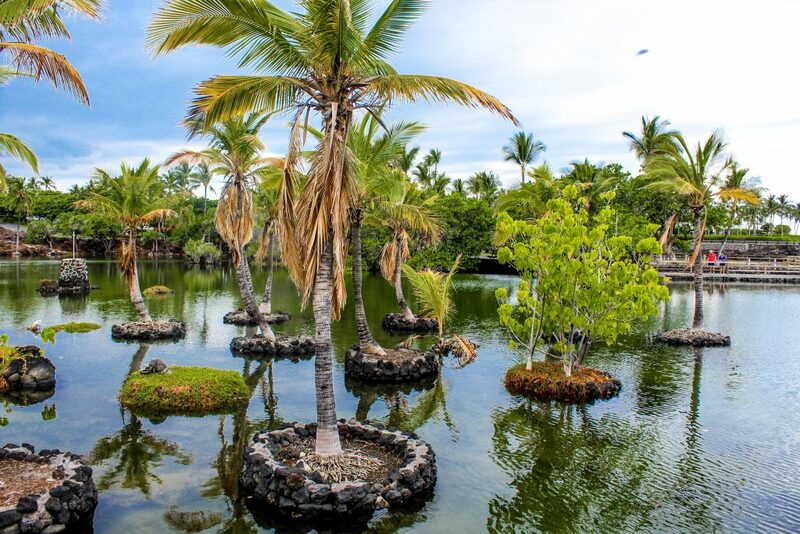 🙁 If you go to hawaii make sure to try out one of the papayas! They are so differet from the ones on the mainland. 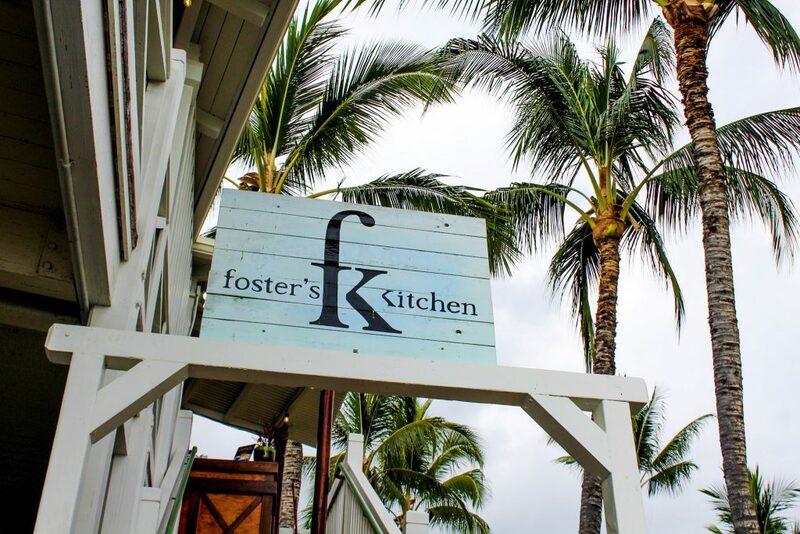 We headed to Foster’s Kitchen for dinner and happy hour. 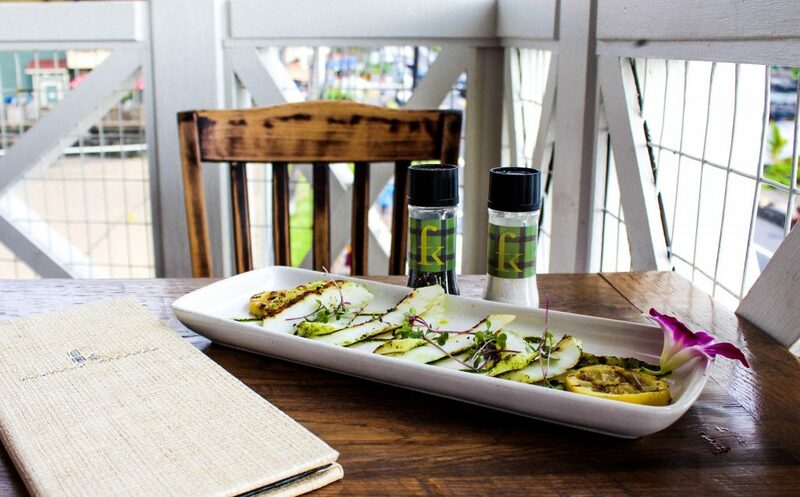 We started with fresh grilled calamari. I ordered the Paniolo Salad. 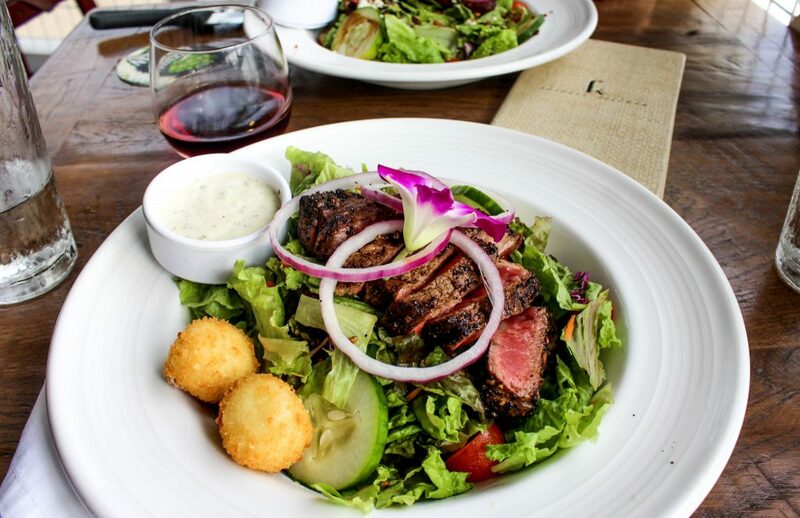 It came with onion, grass fed ribeye (medium rare), salad greens, tomatoes, carots, fried macadamia nut goat cheese balls, and a side of ranch. I wish I could find a salad this good in Charlotte! Amazing. 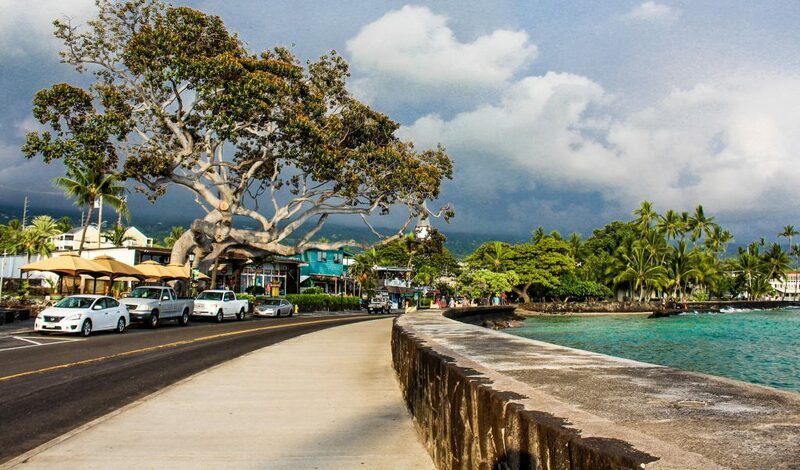 We decided to talk a walk in downtown Kona. The skies were gorgeous, so we lingered around waiting on the sunset. 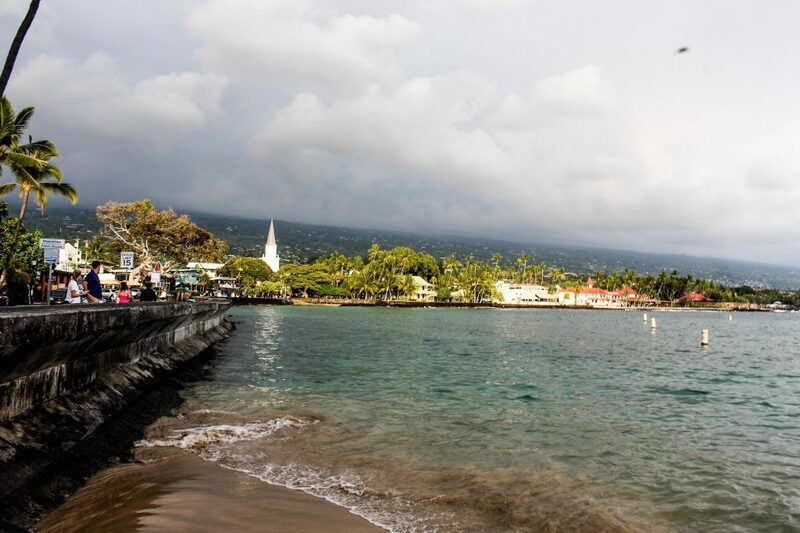 Downtown Kona is filled with history and so much to see! I decided to treat myself to ice cream on one of the last nights, so I stopped at Cuz’ns Deli Pizza & Ice Cream near Daylight Mind. I brought my coffee down to the water to enjoy while watching the sunset. This was the BEST cookies n’ cream ice cream I have ever had in my entire life. I woke up early to head down for a walk and grab breakfast at Evolution Bakery. 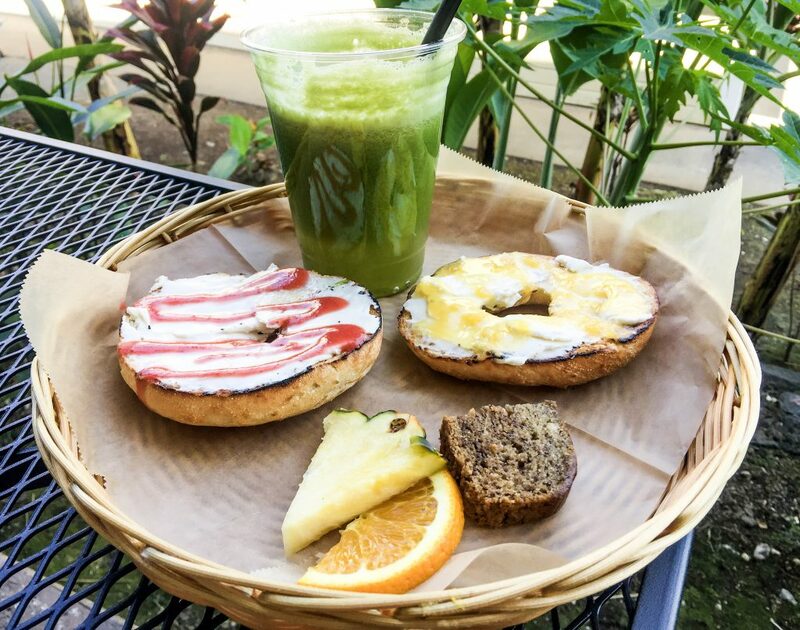 It’s a gluten free and vegan bakery in downtown Kona. 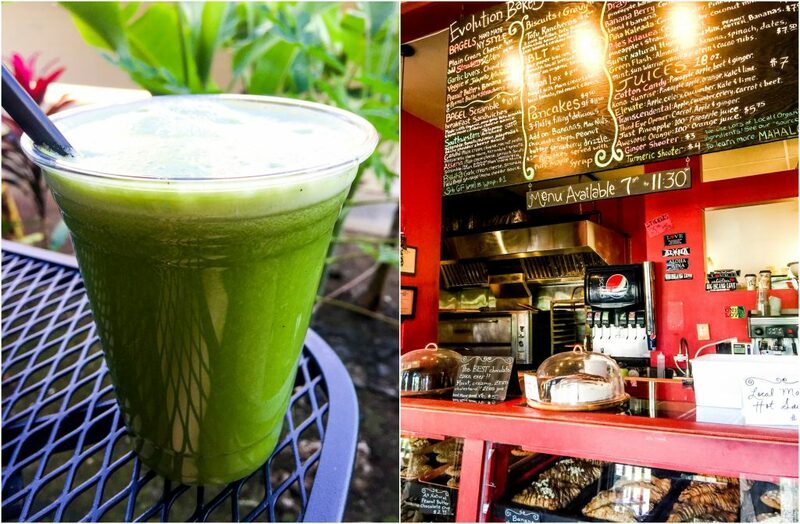 I started with a green juice that had ginger, apple, celery, kale, lime, spinach, and cucumber. 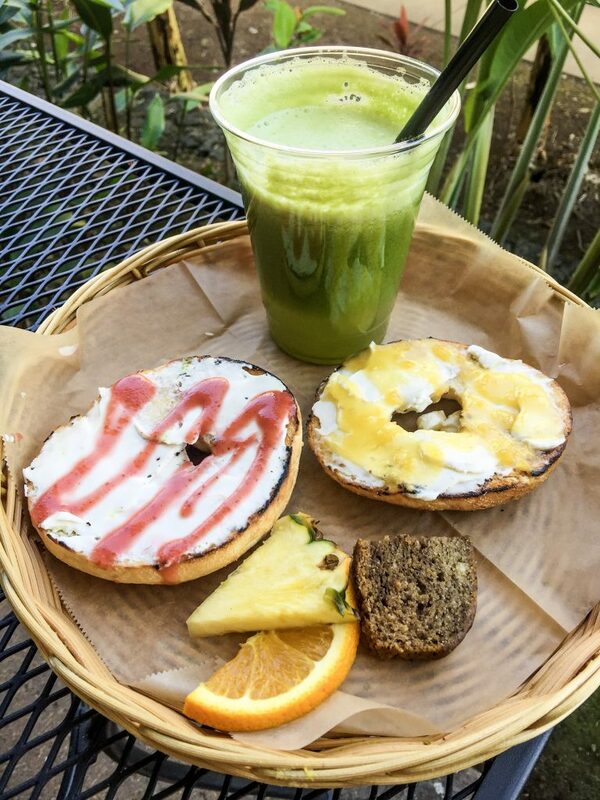 I ordered the vegan bagel with cream cheese, strawberry drizzle, and lilikoi drizzle. They also gave me a piece of their Hawaiian banana bread. HOLY MOLY! So fresh and delicious. 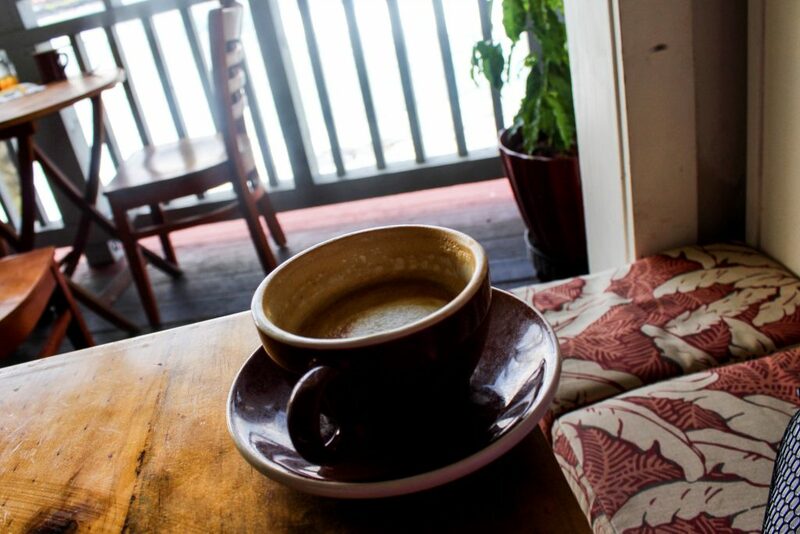 I grabbed coffee at the Kona Haven Coffe, and headed out on my walk. 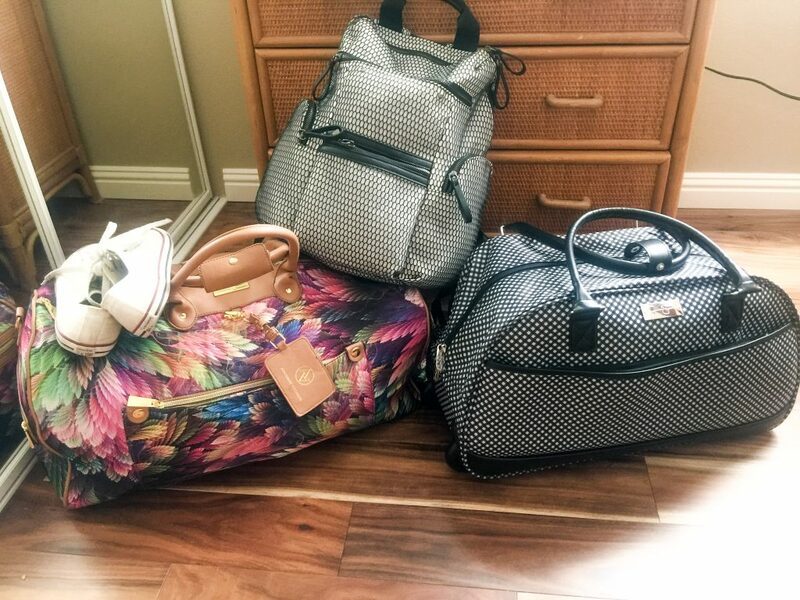 I headed back to relax a bit and pack everything before my 14 hour travel day. I was going to take the redeye, so that meant skipping a night of sleep. 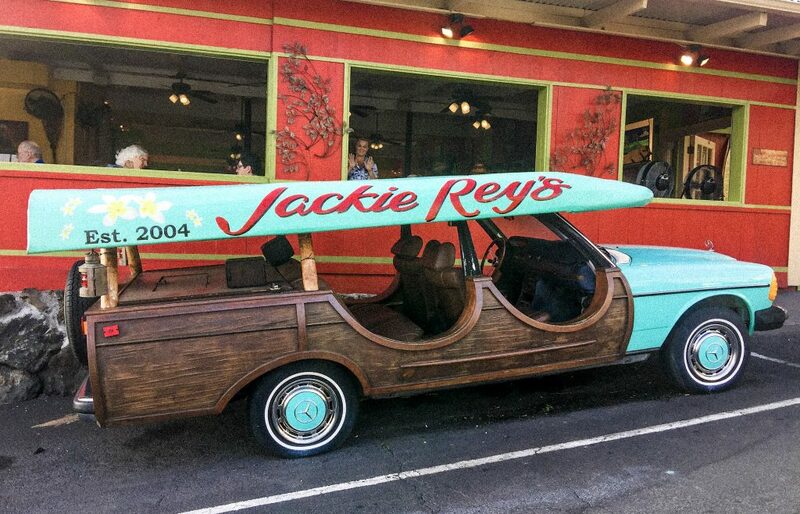 We saved their favorite restuarant for last, Jackie Rey’s. 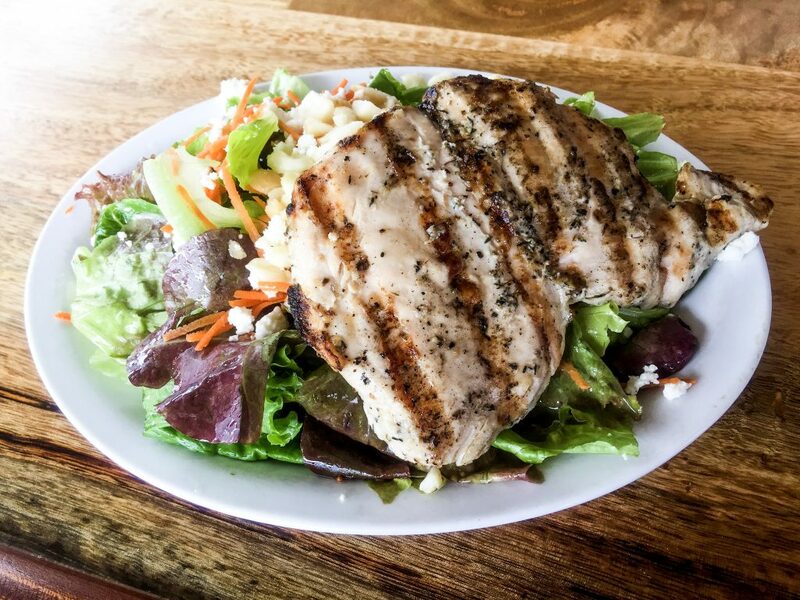 I didn’t want anything too heavy before flying, so I ordered a grilled chicken salad. 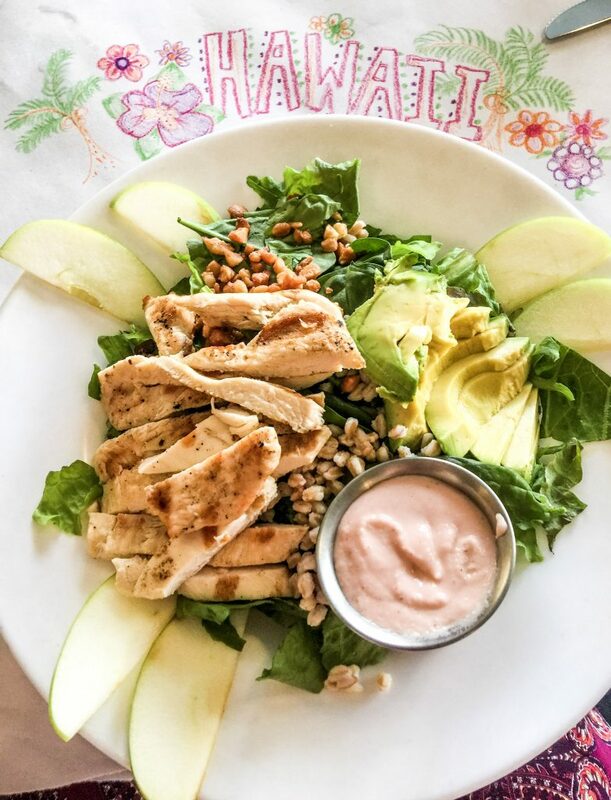 It had apples, candied pecans, farro, romaine, grilled chicken, avocado, and a strawberry vinigrette. I headed to the airport at 7:30 pm, and took off at 9:30pm! I had a layover at 5:30 am in La, a layover in Atlanta at 1:45 pm, and landed in Charlotte at 4:50 pm! WHAT A DAY! Do you love or hate the redeye? 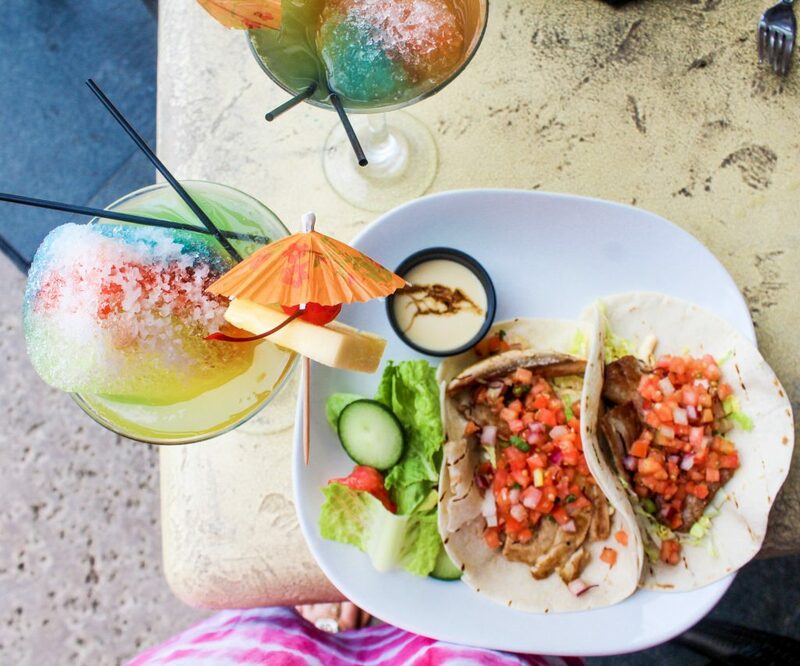 Have you ever had a favorite food on vacation that you can’t find at home? Have you ever done a mandala stone? Can I ask what the brand name is on your colorful flower luggage bag!? I’ve had the shaved ice martini in Vegas, but yours looks better. Such a fun idea for a drink! 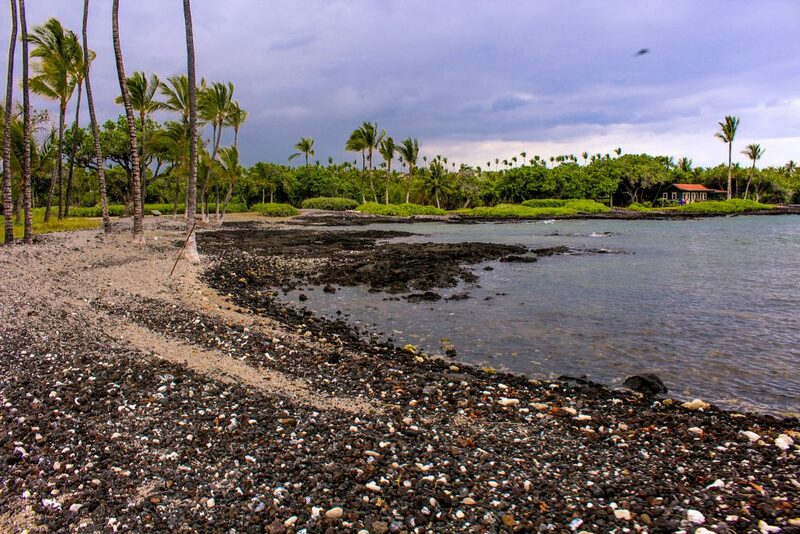 I need to travel to the big island. Thanks for the inspiration and lovely photos. Gorgeous photography. Wish you’d sell your prints! Your trip looked very relaxing. The photos of the sunset are unbelievable. Well thank you! & welcome! Totally take a trip there! My husband’s family is Hawaiian and his grandmother makes banana bread that is out of this WORLD. She actually calls it Kona Famous Banana Bread, so there must be something special about it! I BET ITS SO GOOD!!!! I didn’t know you used to live in Hawaii. I’ve never been on a red eye flight. But, I like to be in bed by 9, so I’m not sure I’d enjoy them! I once visited Puerto Rico, and had this AMAZING oniony/garlicky rice and chicken dish that I’ve tried to recreate umpteen times, and it seems so simple, but I CANNOT get it to come out right! Maybe just an excuse to go back, lol! I’ve never done a mandala stone! Yours is so beautiful, though! You are so crafty & creative. I love love love all of your pictures! 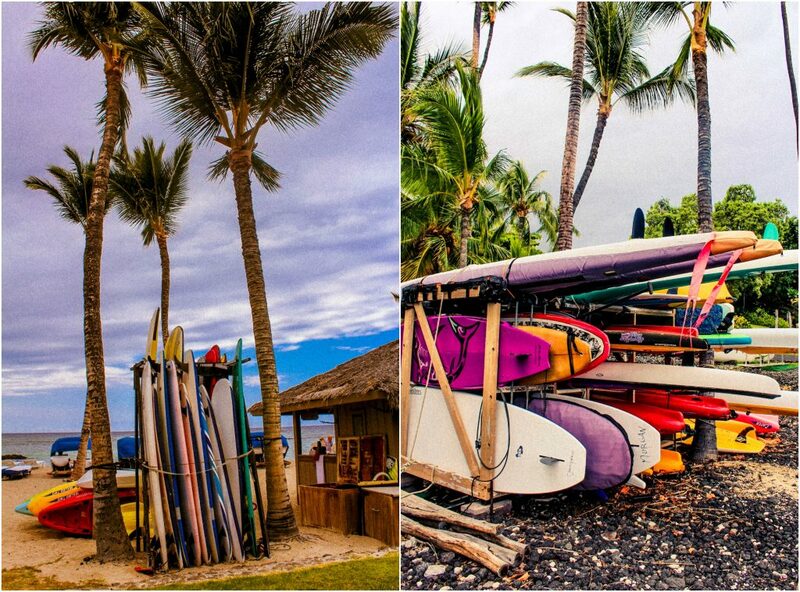 They area SO beautiful and make me want to hop on a plane to Hawaii right now! 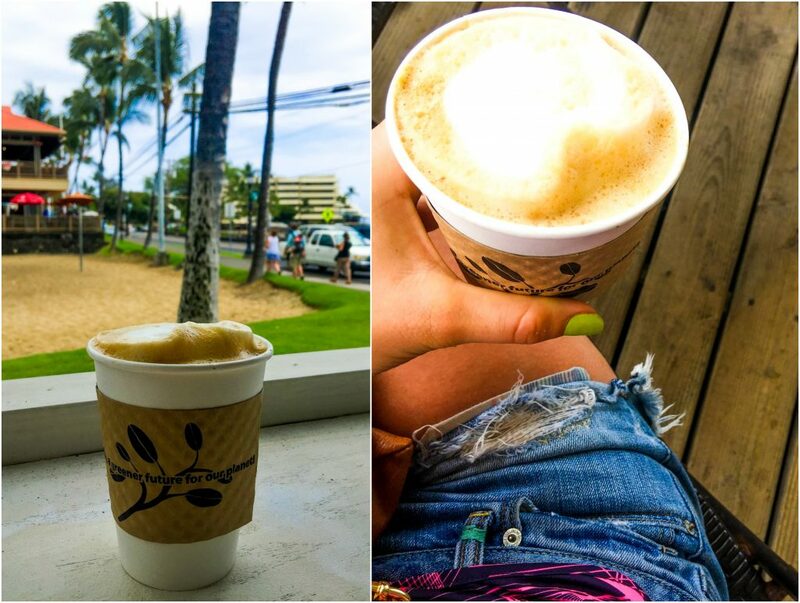 One of my favorite parts of Hawaii (besides the stunning colors of everything) is how easy it is to find a GREAT cup of coffee! I love and hate red eye flights. Going to Europe they are usually the best option even though the first day of jet lag is killer, but I try to avoid them at all costs when traveling in the US and would rather take an extra day off to travel instead of missing a night of sleep. I have SO many favorite foods on vacation. I think I have a a favorite dish or restaurant in every city across the world that I have visited. Orange chocolate gelato in Italy, sausage and mashed potatoes in Germany, goat cheese salad in Prague, everything in Budapest, lobster roll in NYC… I can usually find something similar at home but its never the same or as good! I think my parents taught me to love good food through travel and now I can’t get enough of a really great meal or restaurant! I have never done a manuala stone before, but now I want to! I think it would be fun to do a bunch and give them to my mom for her birthday to put in her garden! 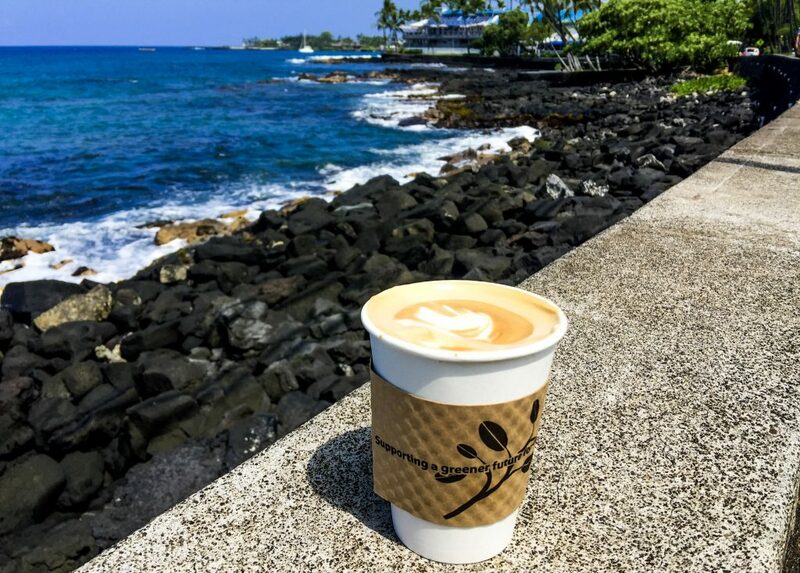 Ohhhh coffee from Hawaii 🙂 I’m currently drinking some right now! I agree! A LOVE HATE FOR SURE! 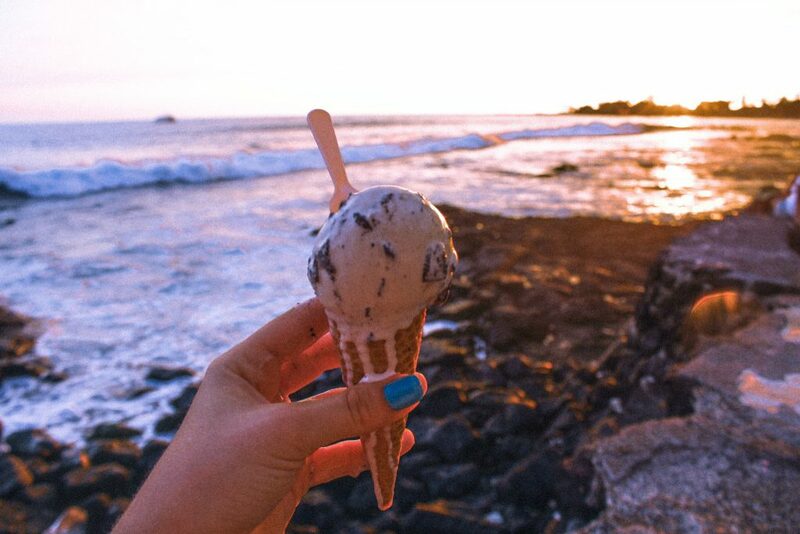 orange chocolate gelato?…yes please! I want to visit Prague so bad!!! 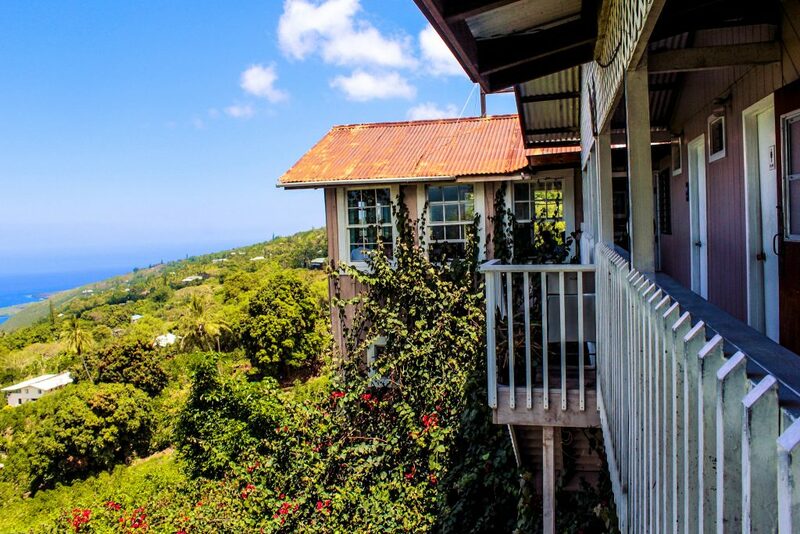 Taralynn your trip looks absolutely amazing!!! 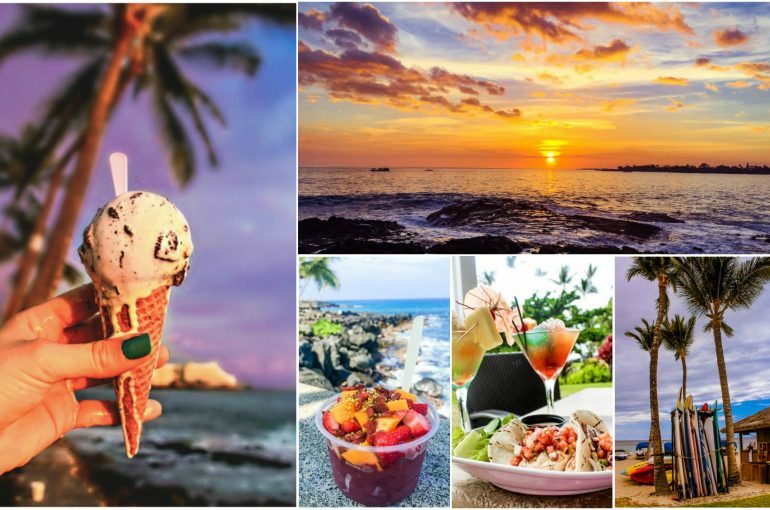 Thank you for capturing the beauty and all the amazing deliciousness of Hawaii! I was literally drooling over some of your Instagram pics and would love to plan a trip there one day. 🙂 You should totally plan a trip there! 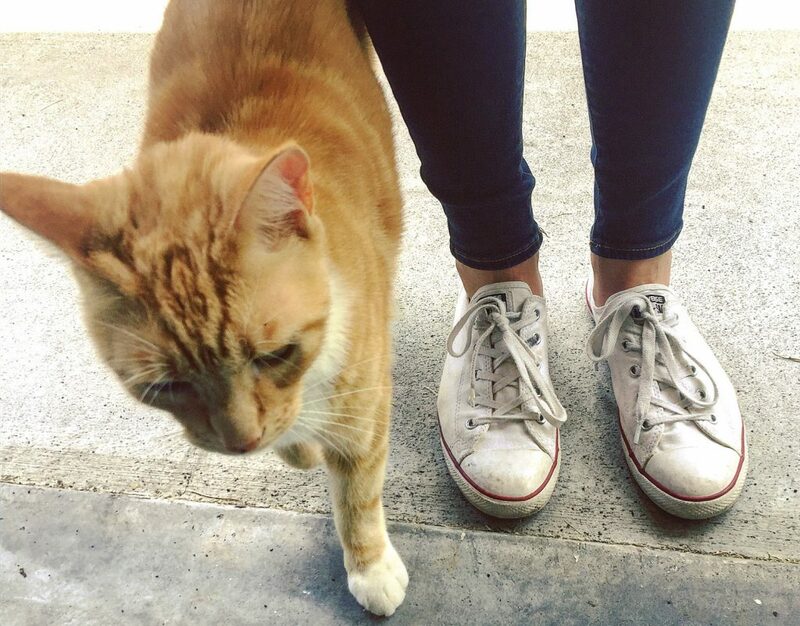 Your photos are so lovely – thanks for sharing them all! Totally motivates me to start taking more photos. I just recently bought a Canon camera as well, but haven’t sat down and figured it all out yet because I am in the middle of packing for a move. There are so many wonderful views were I live (not quuuite as beautiful as Hawaii), so I really should take the time to capture the views! I have never taken the red eye but will be flying overnight in July to go home for vacation. I planned it that way in hopes that my puppy will sleep the 3 legs of the trip, as he will be flying home with me. Im also hoping I can sleep on the plane be rested up when I get home to see my family. I have totally tried to recreate dishes from my favourite restaurants or when away on vacation but can never make it taste quite the same. I guess that just means I should take more vacations and travel back to my fave places to try those dishes again haha! I haven’t painted a mandala stone but they look so fun! I love taking photos. It’s one of my hobbies. I like to sit with coffee, load them, and play around with the lighting for hours! 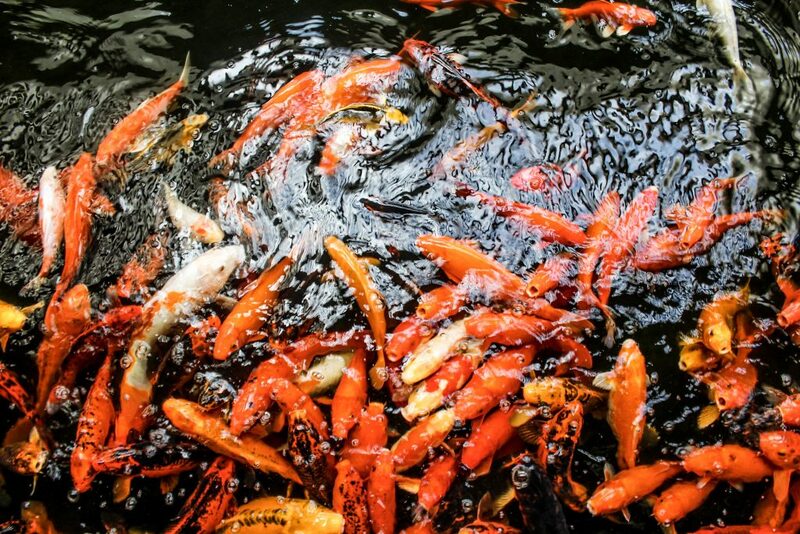 No matter where you are, you can always capture something beautiful! They are so much fun:) I think you’d enjoy it! 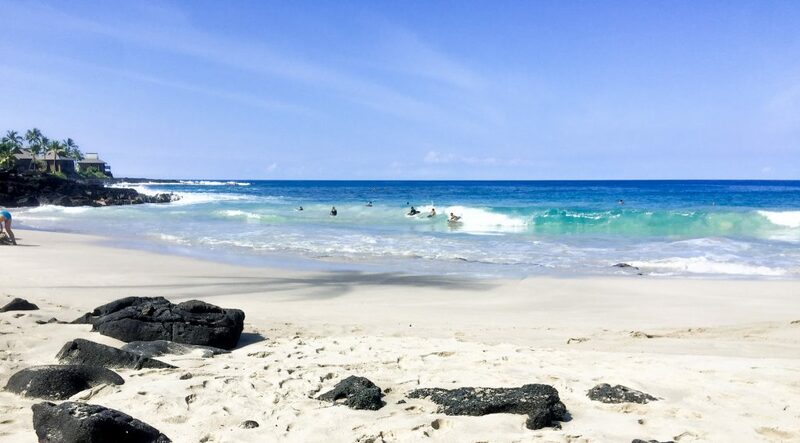 I love this post because I have never had the urge to go to Hawaii, but after seeing all of your pictures, I think I should at least go once in my lifetime. Great pictures! So pretty in person too! I can’t wait to read about the coffee farm. 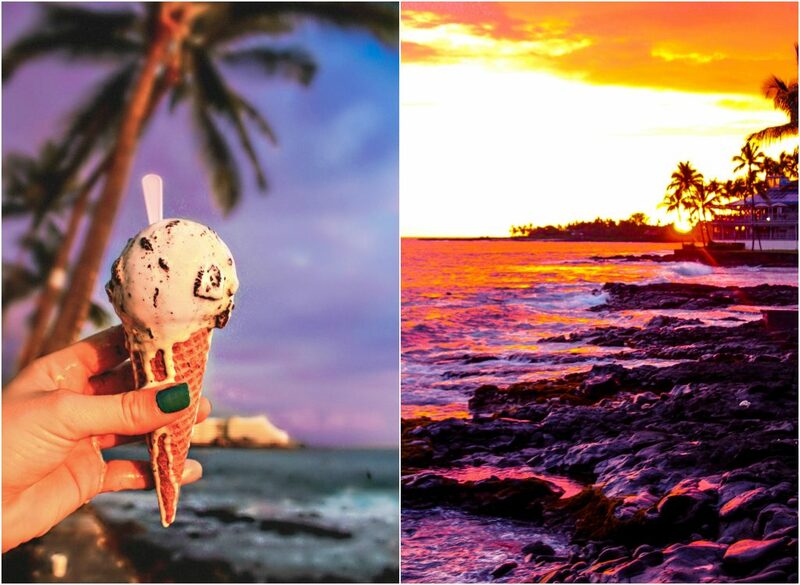 I know you went to Hawaii to relax, but thank you for sharing your photos. 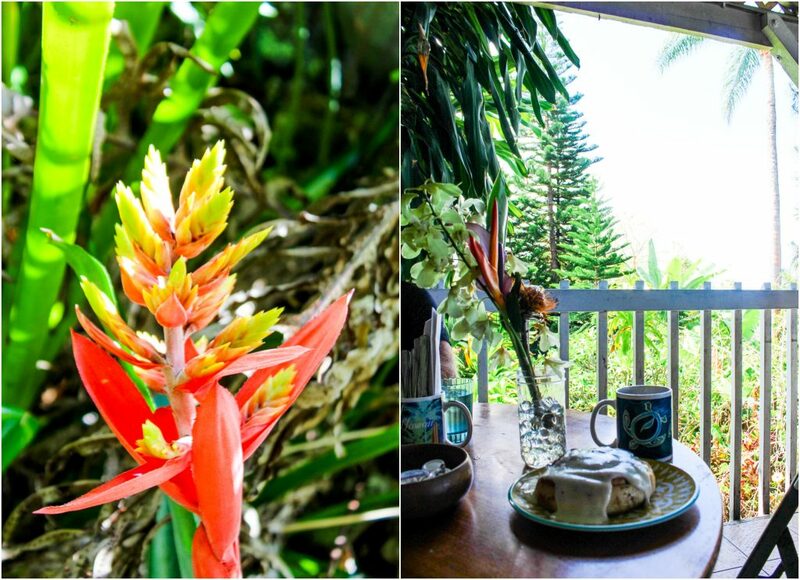 Mahalo for sharing these beautiful photos! Nope, you can’t take any fruit or farm produce home. I think there are sites that ship them to you 🙂 I’ll let you know if I find one. What type of camera do you use? Your pictures are amazing! Aww thanks! I go from my cannon to my iphone! I just like to add saturation, brightness, and sharpness to each photo for the colorful pop! 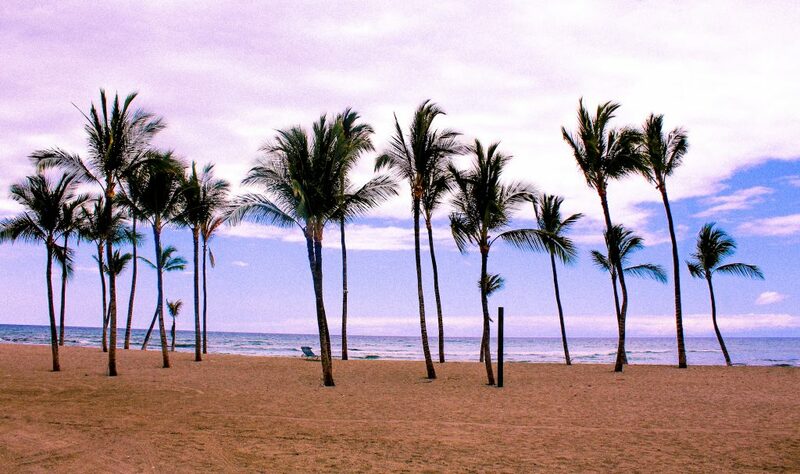 I loved the Hawaii posts. 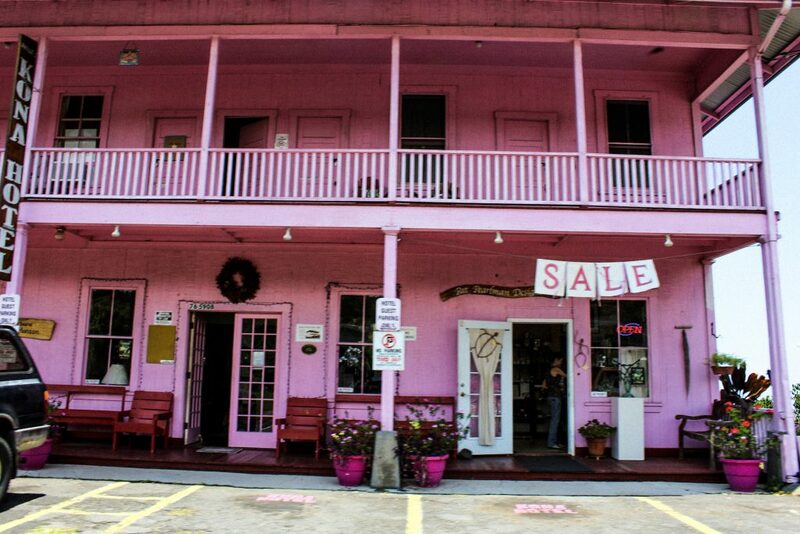 I went there for my wedding/honeymoon years ago. It is beautiful! Thanks for the walking challenge. I started yesterday. That is so awesome you started early 🙂 I guess I did too if you count the dog walks 😉 A honeymoon & wedding in Hawaii sounds incredible. OMG, I think I know where I want to go for my honeymoon if I get married one day!!! 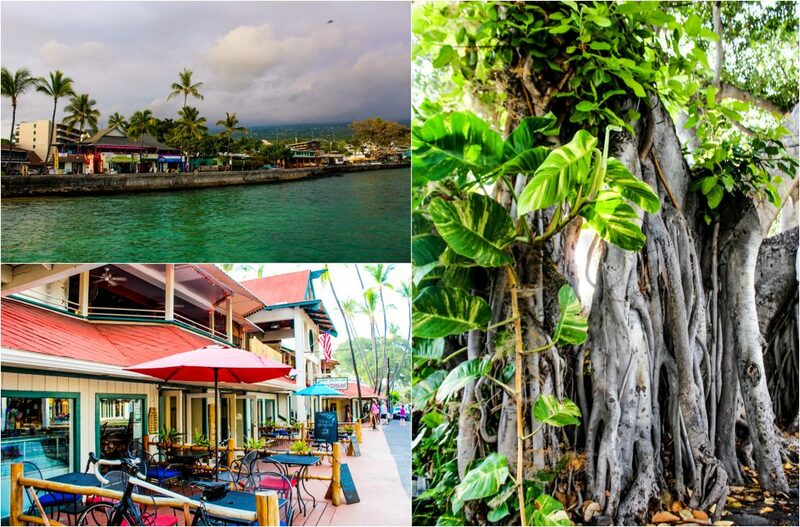 Hawai is really full of wonderful places! I eated the best vinegar crisps of my life in Dublin, and I’m desperate to find something so amazing where I live! Anyway, snacks are better in United Kingdom and Ireland than in my country! Never, but it looks fun and relaxing! It’s a beautiful place for sure! Oh, yum! Vinegar chips are SO GOOD!!!! How do you have so much self restraint when going out to eat? It is hard for me to only eat part of a meal! Once you learn how to eat intuitively and in moderation, you won’t get the cravings or the urge to eat everything anymore. It’s better for me to take a bite of something instead of saying “no” and restricting. Life is too short 🙂 Nothing is off limits! When I found myself saying “no you can’t have that”, then it became hard. 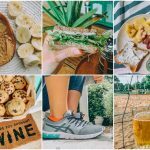 I really enjoy your travel recaps, especially with all of the food pics! In Germany I was able to get some amazing italian ice cream, that I haven’t been able to find around here. There are two flavors that are so unique and hard to replicate: Strawberry-Yogurt and Stracciatella. The strawberry yogurt ice cream is much richer than fro yo so it’s not even comparable, and has some fresh homemade strawberry sauce swirled in. So. Good. I’ve never taken a redeye before, but I’d imagine that it’s much more pleasant at the airport, than taking a flight during the middle of the day with all of the crowds. I’m a huge fan of drawing mandalas. Something about the symmetry and pattern makes it very calming and almost meditative. However I haven’t drawn a mandala on a stone, so I’ll have to give that a try! 🙂 Thanks for sharing your ideas! OHHHH Italian ice cream is so good. I had German gelato when I was over there. Stracciatella sounds incredible. Now I want ice cream! OHHHH totally do it on a stone! 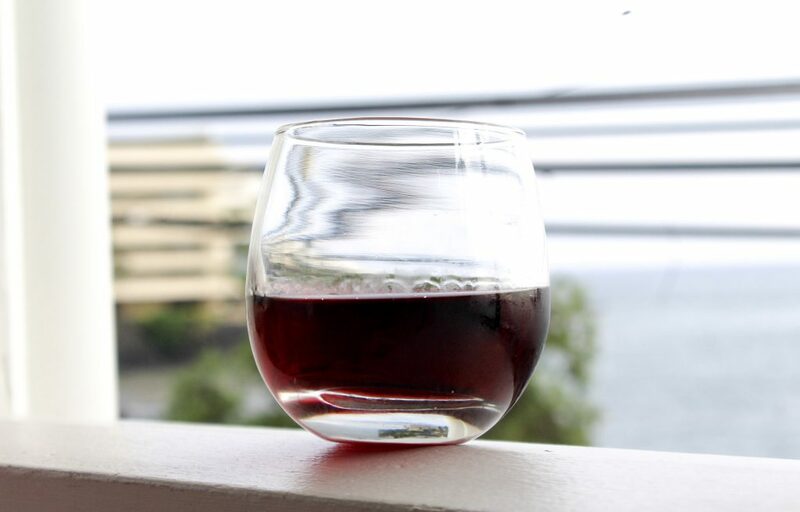 so pretty and fun to do with wine, of course! Looks SO beautiful! 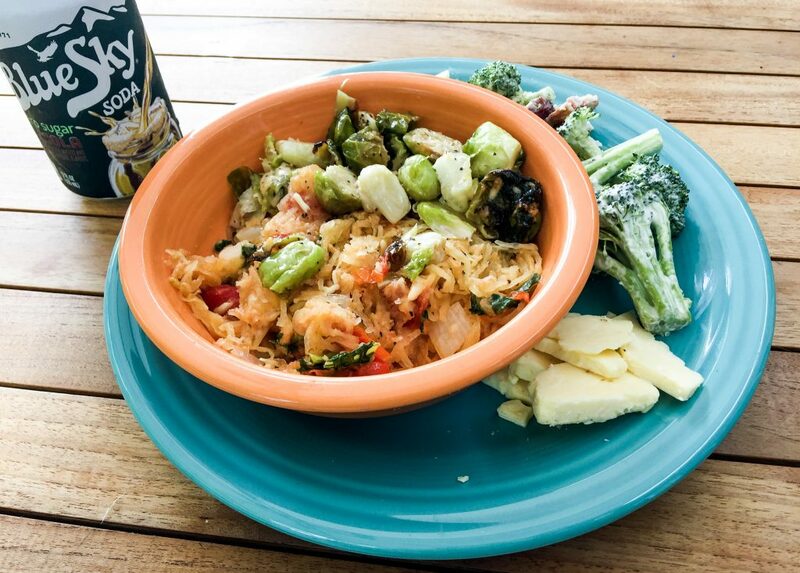 The food is so bright and colorful – it all looks amazing! And hopefully this was good R&R after your half? Also, did you like The Perfect Stranger? It’s on my Amazon reading list, but haven’t ordered it yet! Totally relaxing and that’s all I wanted it to be! YES SO GOOD. I’m only half way through. WHAT is that Poke tower?! It looks like colorful paint splashed into a soup of some sort! It looks so beautiful. 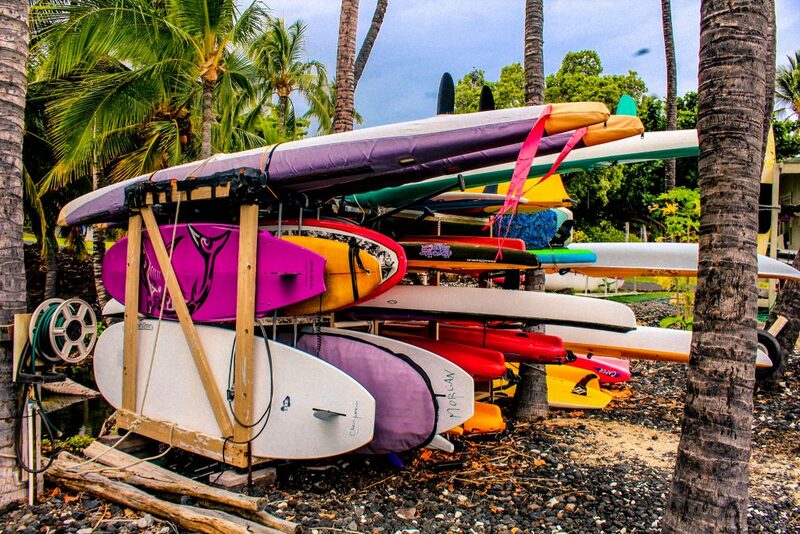 And very…Hawaiian. IT WAS HEAVEN! :) raw tuna with avocado, fried wontons, and all kinds of delicious purees and sauces! I LOOOOVE all the color in these pictures! 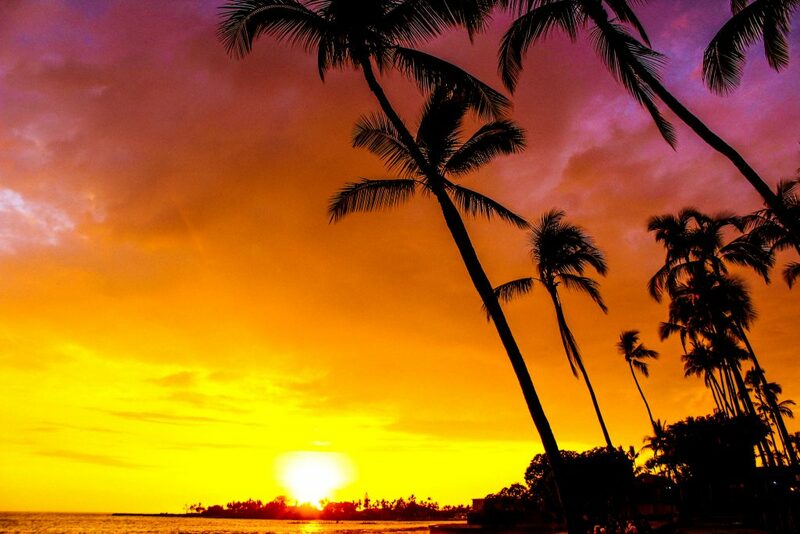 Hawaii looks stunning! Loved your restaurant suggestions! 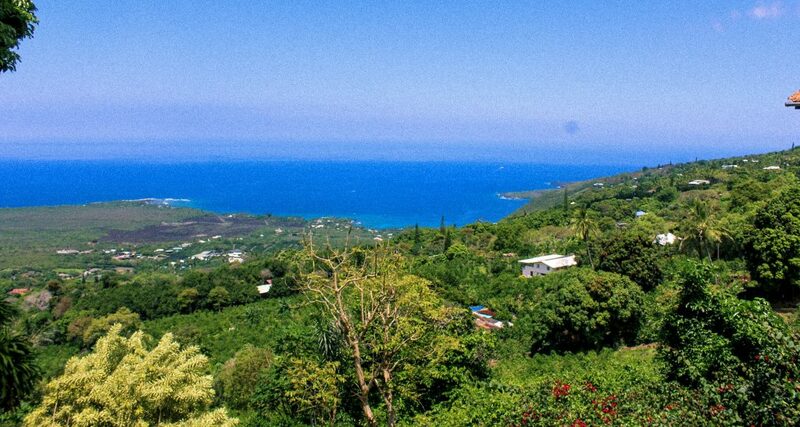 Going to the big island next week. I know you’ve mentioned this before, but what kind of camera do you use? You take such great photos! I use a Canon EOS REBEL T5! I have a couple different lens! + Iphone 6Splus! 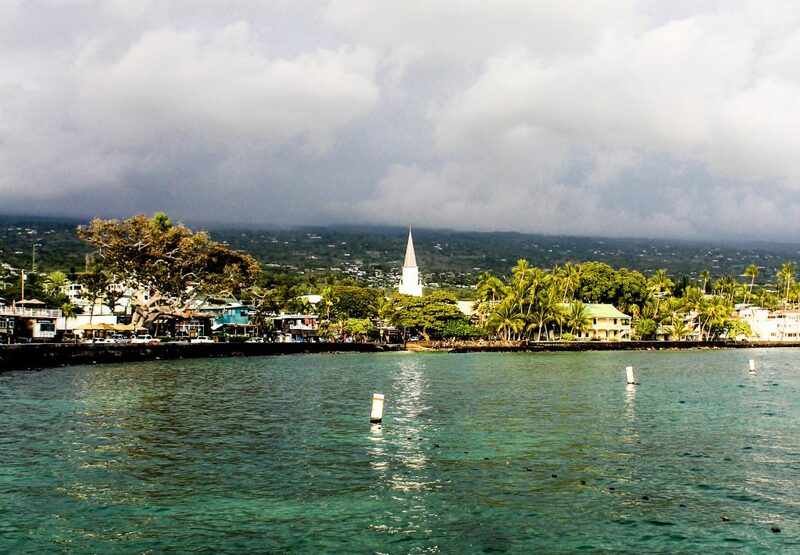 I just got back from The big island! 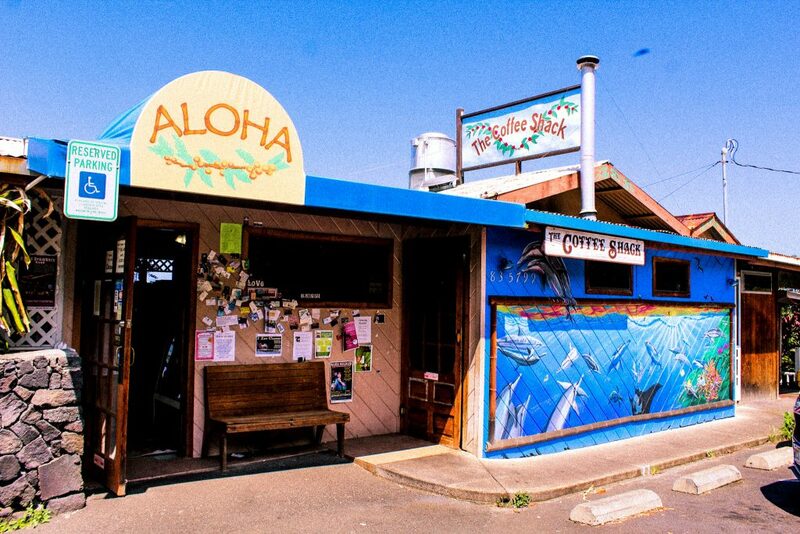 I ate at The Coffee Shack and had breakfast at Island Lava Java… So good! Both amazing spots!! Did you see the little geckos eat the jelly? Beautiful pictures! Who did you go on vacation with? Were you staying with friends? Ah, I must have missed it! That’s so nice that you can stay with friends. 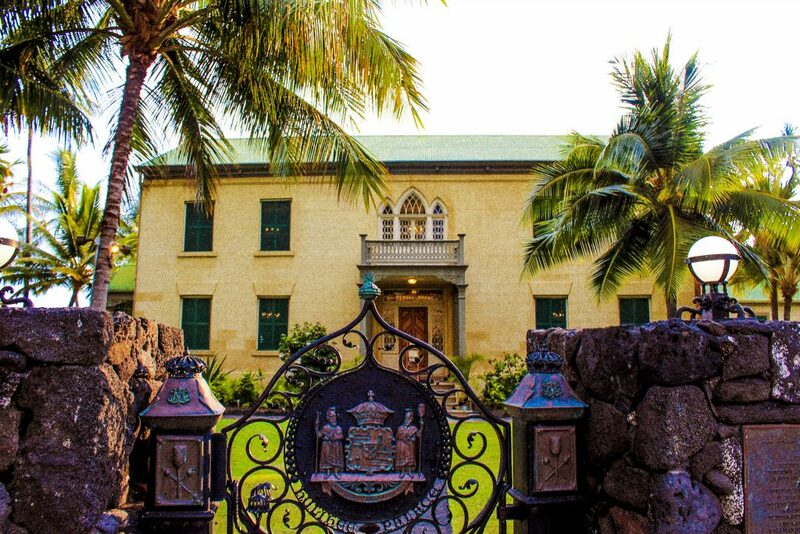 I have a friend who is going to the University of Hawaii for med school next year and I can’t wait to go visit her! Redeyes are great for international travel! But traveling in country I’d rather avoid it if I can. Yes! Unfortunately, Brazil has a couple different foods and a drink than we don’t have here. 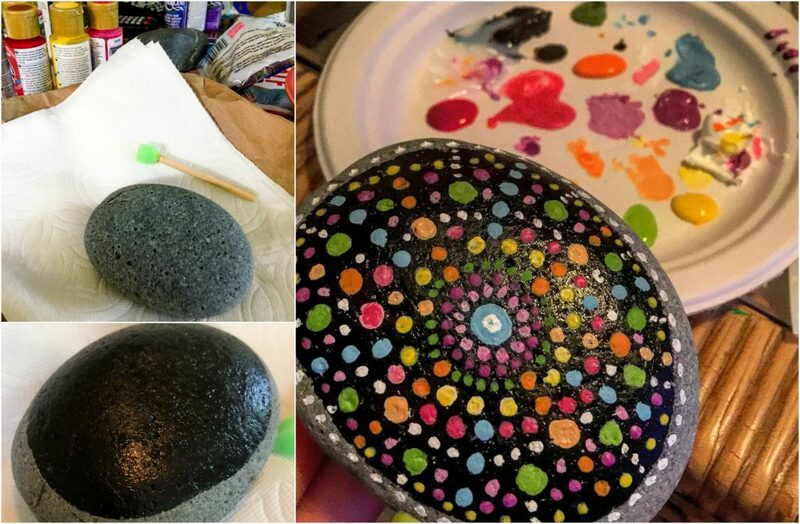 Mandala stones are so much fun and there’s so much you can do with them. I usually bring a stone home from a trip and use that. So then I have a piece of where I traveled. I’m sure lol. That’s actually a really good idea! I use a Canon EOS REBEL T5! 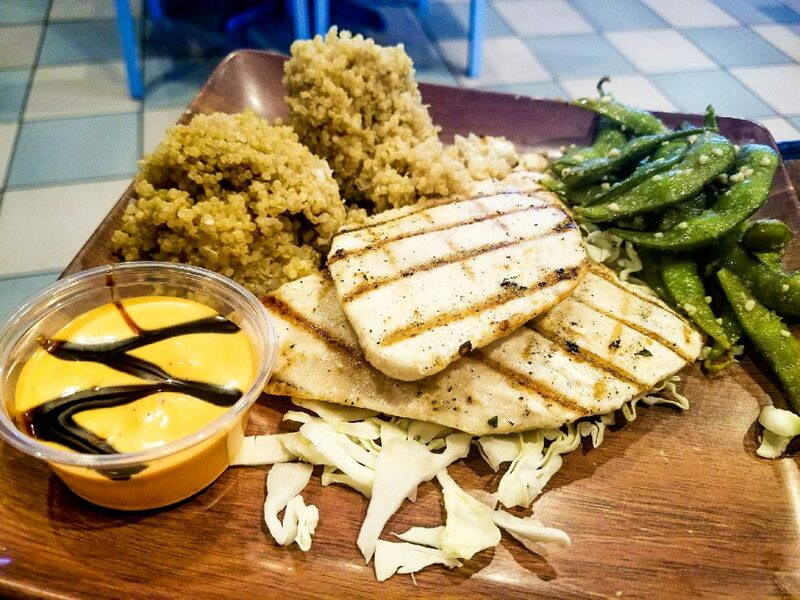 All of that food looks fresh and delicious! Love that you took R&R time for yourself! Everyone needs to once and a while! I’ve never taken a redeye but I feel like I would hate it. Too disoriented at night when I’m sleepy! 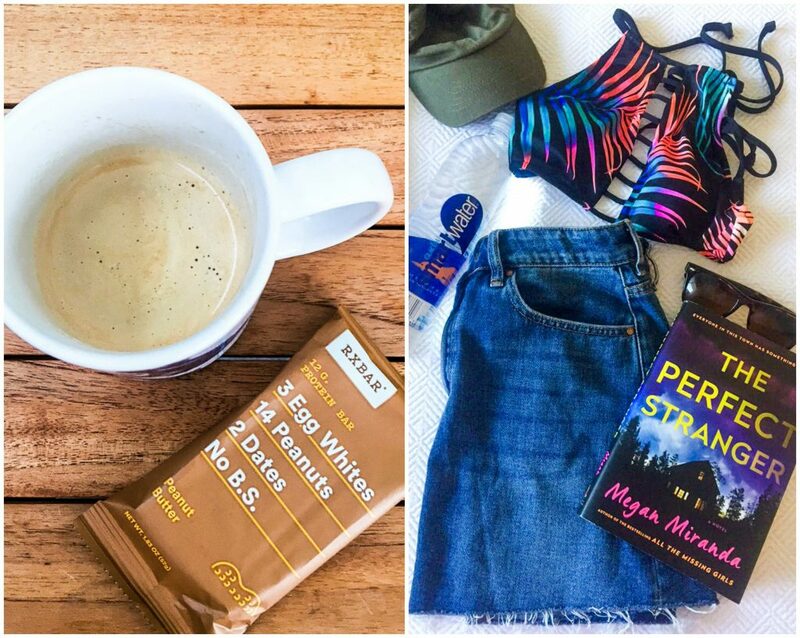 But these look like an amazing collection of eats – drooling over that hawaiian banana bread!!! Yeah, it’s almost impossible to sleep. I went in and out of it. That gecko was adorable! I would love to see them wandering around. 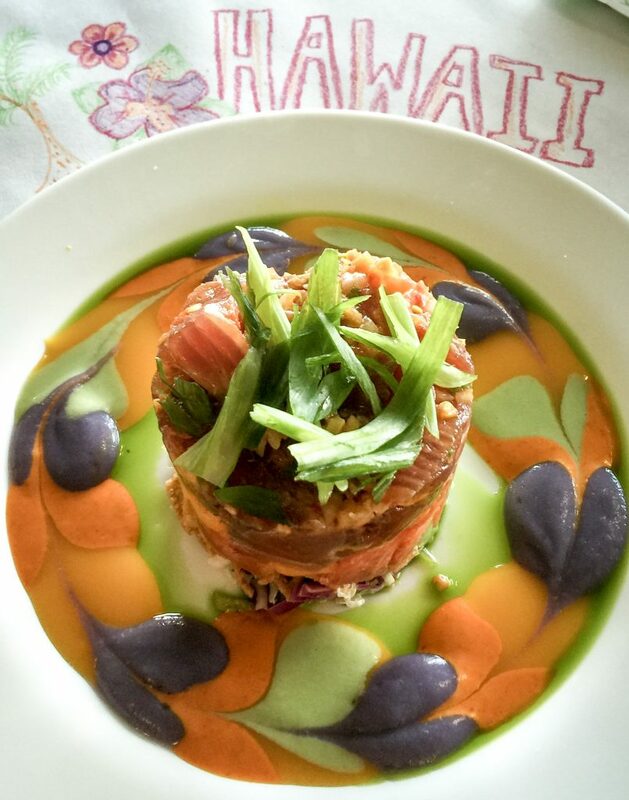 I’ve heard that food in Hawaii is so fresh and delicious, everything you ate looks incredible! 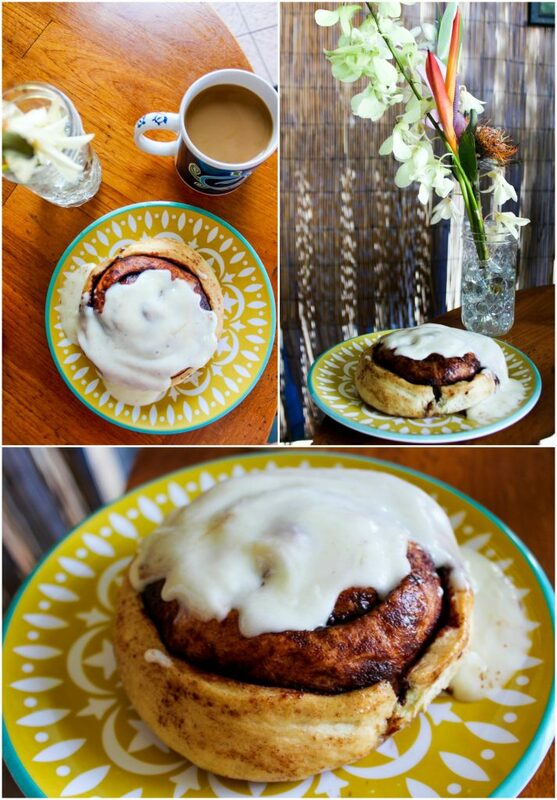 Oh my gosh, all of those food pics have my mouth watering! 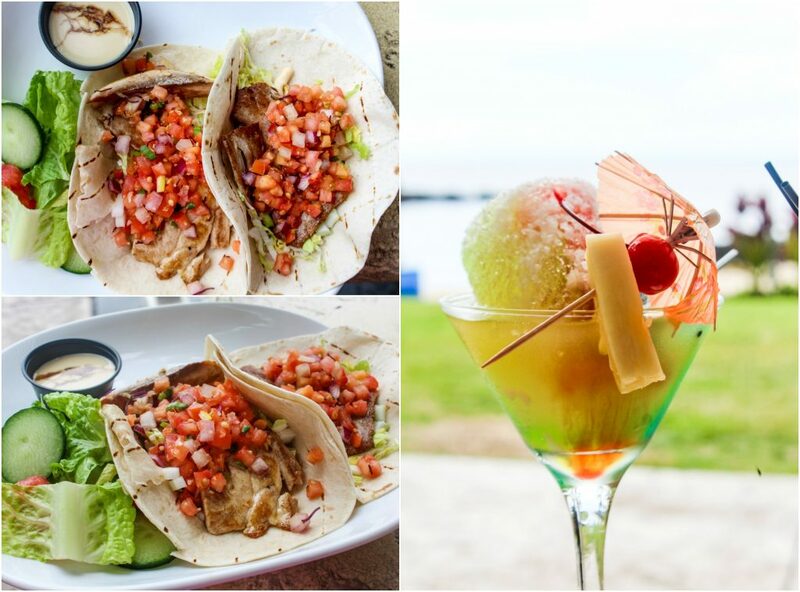 Everything looks so fresh and delicious! I will ALWAYS take a red eye if I can, especially arriving at a destination. It’s so worth it to have the full day for fun! 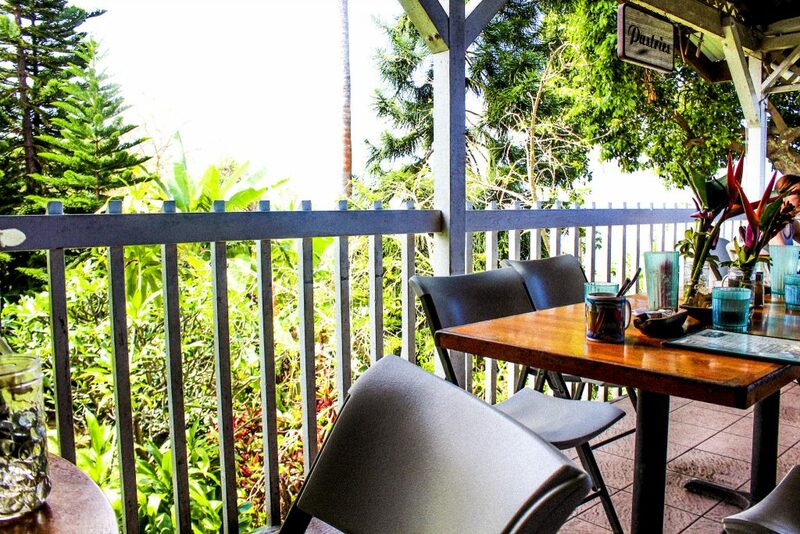 So many places where I can’t get the same food in CO, but I had the BEST eggs Benedict of my life in Kailua at Cinnamon’s and I’ve been dying to go back for it ever since. I have a feeling we will have a LOT of this on our last after we go to Italy this summer! Never done a stone but it’d be a great front yard decor piece! In that case, yes! Coming home was a bad idea lol I guess I did get a good nights sleep when I got home! OMG, a summer in Italy sounds amazing!!!! I can’t wait to add all the stones to my yard! I love the pictures Tara! Especially the sunset ones. Sooo pretty! 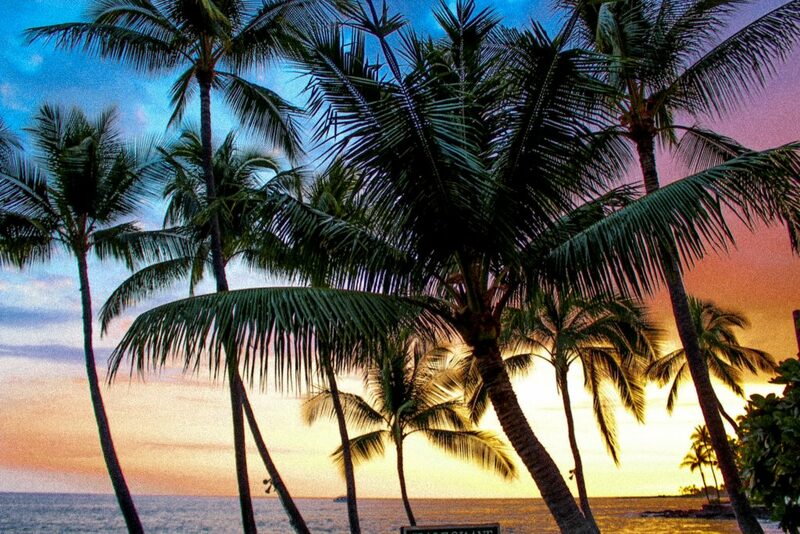 I can’t wait to visit Hawaii. Definitely on the bucketlist. Glad you had such an awesome time there and got to relax. Ah, what a truly wonderful trip. 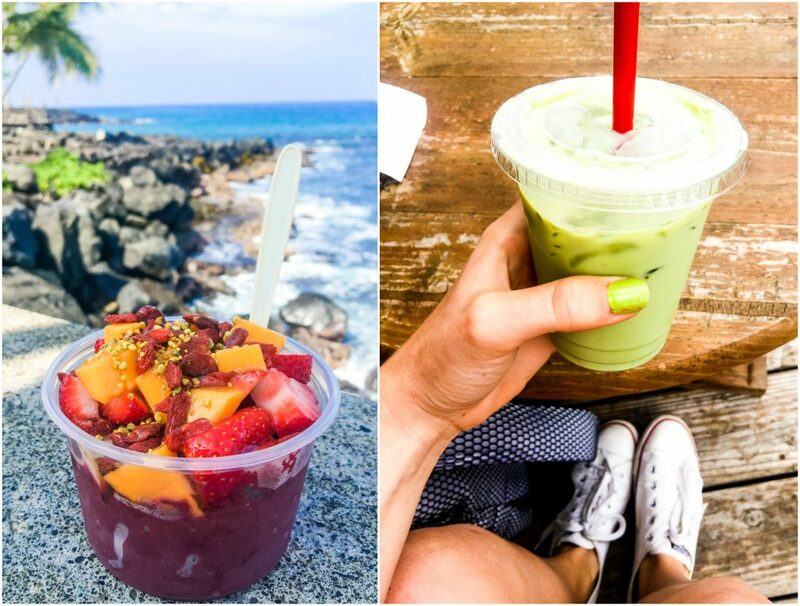 That acai bowl looks unreal AND the papaya! I bet that was delicious. Hard to find a ripe one over here. I don’t mind red eyes– I only took my first one several weeks ago and I like how much quieter they are hah! Ohhhhh it was SO GOOD AND FRESH!!! They are only quiet if you’re not sitting by drunk people…..lol I think I’m scarred forever. Although the flight home was much better! 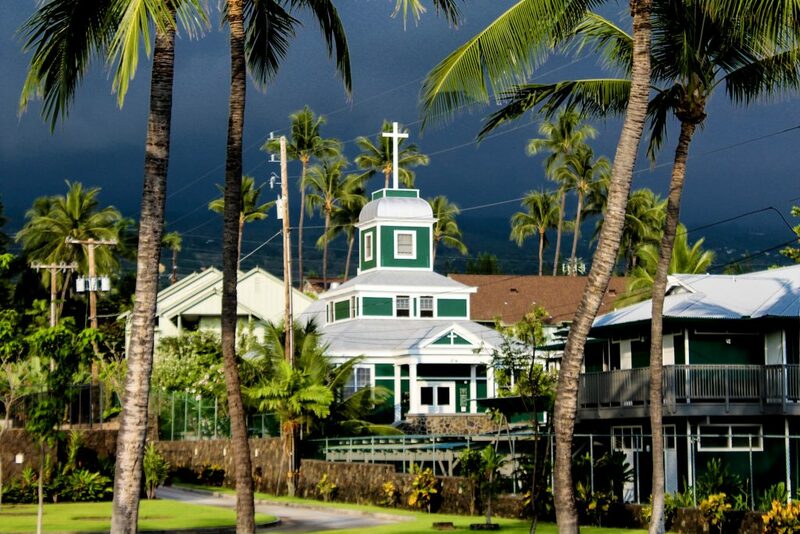 Did you stay at the Royal Kona Resort by chance? 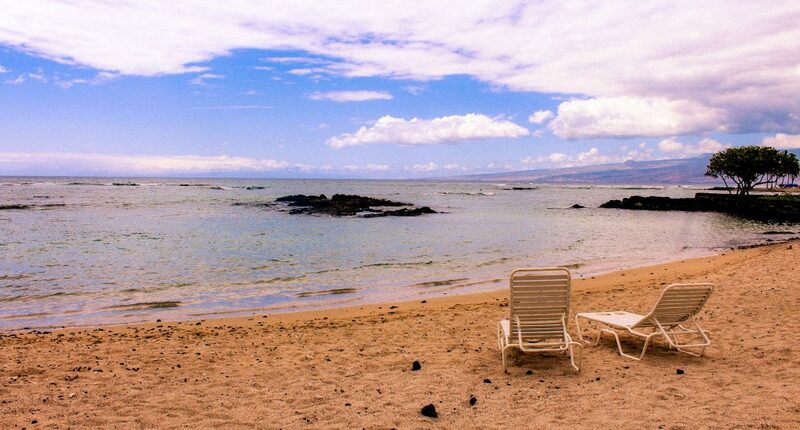 Kailua is maybe my favorite place on the planet and I’m getting married at the Royal Kona next March! 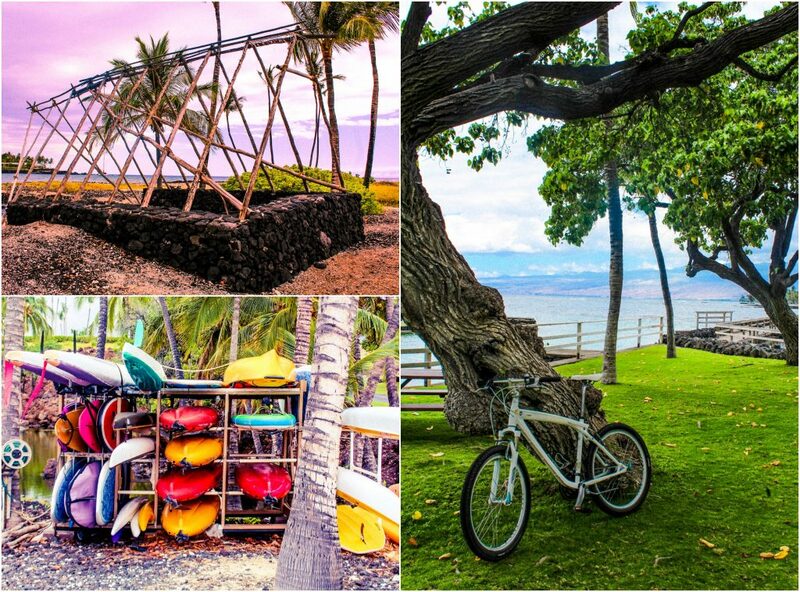 It was so cool to see the photos from some of my favorite spots that you visited! 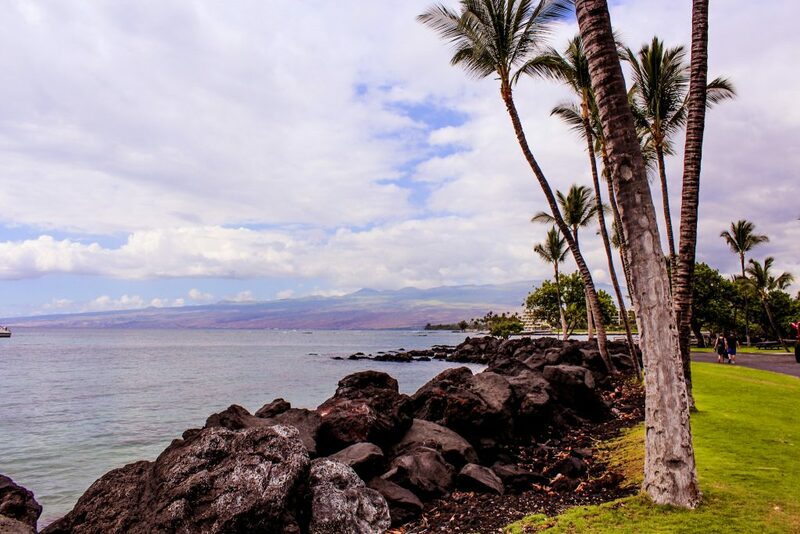 Wow, the scenery in Hawaii looks just breathtaking! I’m so glad you had a nice trip 🙂 Who were you visiting while you were there? Besides that cutie dog! I just love doodles! Hi, Gloria! I wrote a little why I was there in my previous post! :) You can read it here! It’s more of a hate thing for me. I’ve only flown it once, and that was to Paris. I can’t sleep around people I don’t know, which meant I was awake the entire 9 hour flight at night. I was exhausted! Yes! I had a grilled shrimp salad when I was in New Orleans years ago. It was a hole in the wall place, but it was the most amazing salad I ever had in my life. I wish I remembered the name of the place! No, but my senior year of college, they had brought in people to make real Mandalas with the sand in the chapel! It was amazing to watch, because it takes so much concentration. It was so beautiful! The rocks you made look like fun. I have a couple of fun projects I want to do this summer, you’ve inspired me to get moving on them! Ohhhh yummy. I’ve never been to NOLA! I know I need to change that. Oh wow! I bet that was incredible. 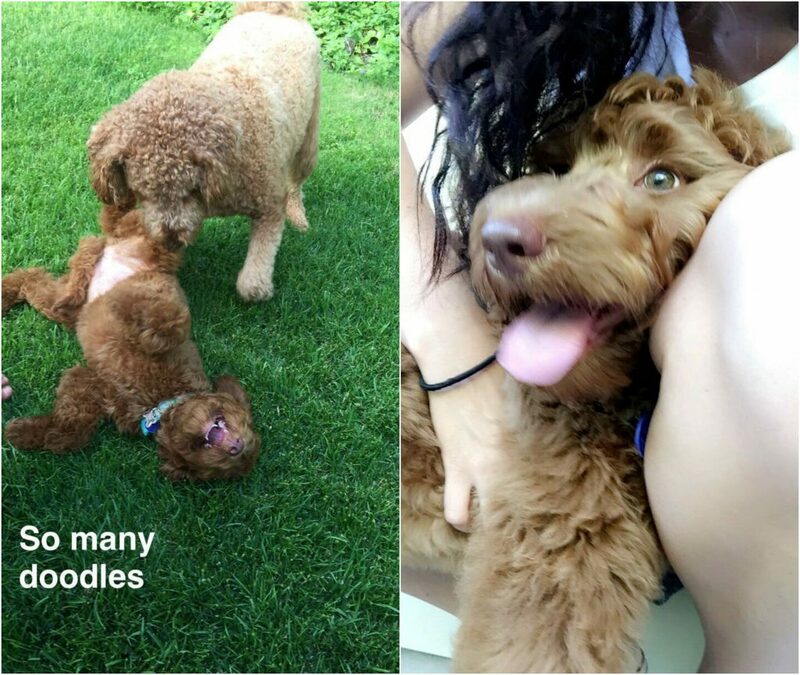 Those doodles are so cute! First of all, your pictures are amazing! Landon and I are planning on traveling to Hawaii for our 3 or 5 year wedding anniversary, so this is giving me all sorts of good ideas! I’ve never done a mandala stone, but it looks super fun!! Also, I just realized I never got you my salad dressing recipe! Sorry! Here it is! Thank you, Bethany!!!! Just wrote it down!!! You’d love it. 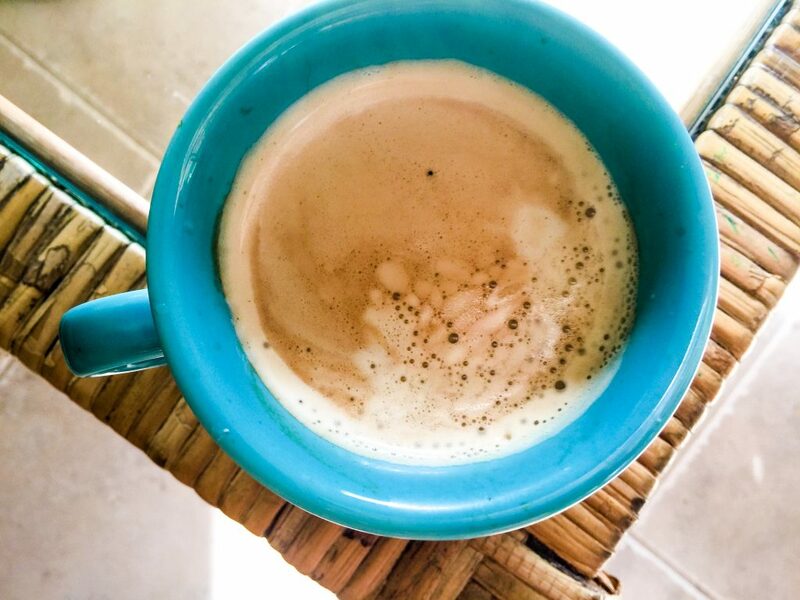 Make some coffee and just go at it! They’re so fun and I think I’m going to make some tonight! Hawaii is a great anniversary spot! That coffee looks so good. All of it was! :) I miss it already! 1. I prefer red eyes. I sleep on the plane and when you get there, you have the whole day to explore or relax. 2. The best meal I had is Turkish Lamajun back where we lived in London. It is like a Turkish pizza with spicy minced lamb. They have it here, but it’s not as good as the place we would always get it at. 3. I’ve made mandalas (my students did it as part of their geometry unit) but never on stones. Looks fun! You should try it on stones! So fun & therapeutic. 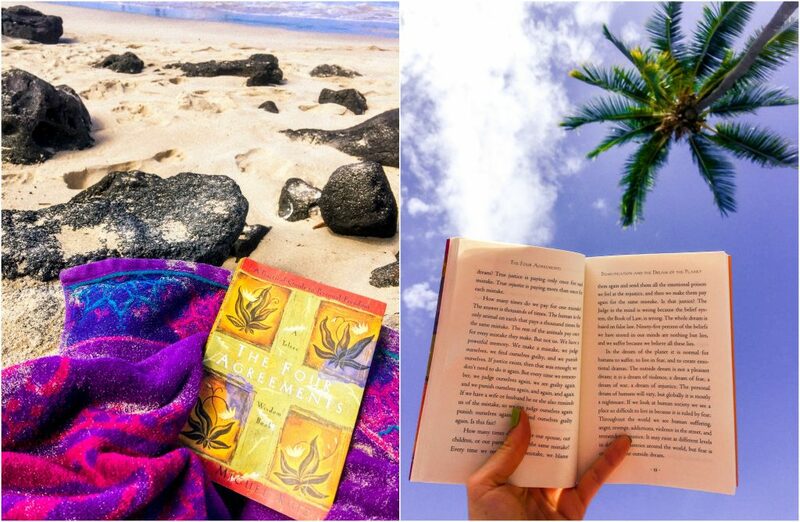 The best part was definitely spending the whole day at the beach just reading and enjoying life from the shore. I don’t mind the redeye as long as there are not too many layovers so I can sleep for a decent amount of time. The last time I took one I had the emergency exit row, window seat, so it was a pretty good sleeping spot, and the flight was 7 hours. Sounds like you had a lot of stops! I have favorite vacation foods, I love deep dish Chicago pizza but can’t find any where I live, which is probably for the best haha. Also, it’s not a vacation food, but in my hometown there is a restaurant that makes the best salsa/sauce for tortilla chips, but it’s about 4-5 hours away and my family doesn’t live there anymore so I rarely get the chance to get there and grab some! I’ve never done a mandala stone but they look really pretty, I’m sure they’d look nice in a garden or in a potted plant for us apartment dwellers haha. Hahaha I’m more of a NY slicer 😉 but I did enjoy Chicago pizza when I lived there. OHHHH now you have me wanting tortilla chips!! I can’t wait to add mine to the garden. I’m going to do a couple and have some wine tonight! 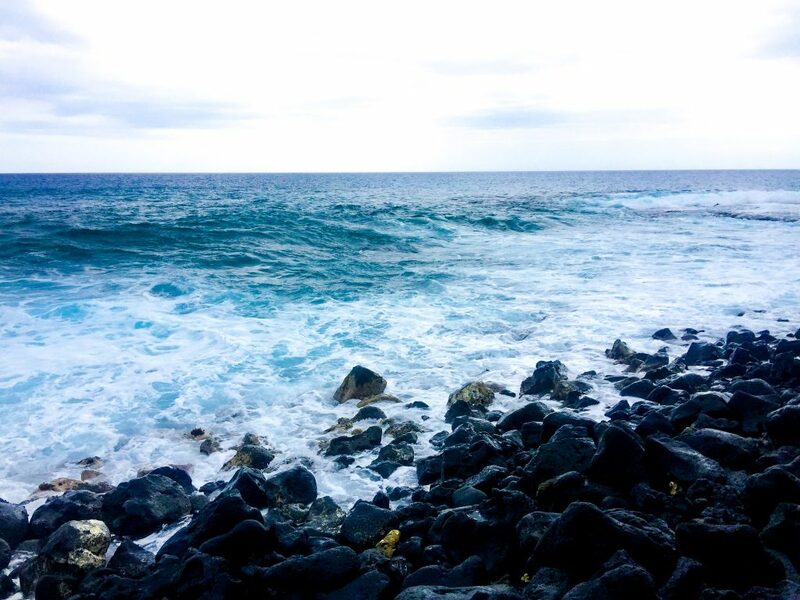 I loved this post, Hawaii looked amazing and so beautiful. 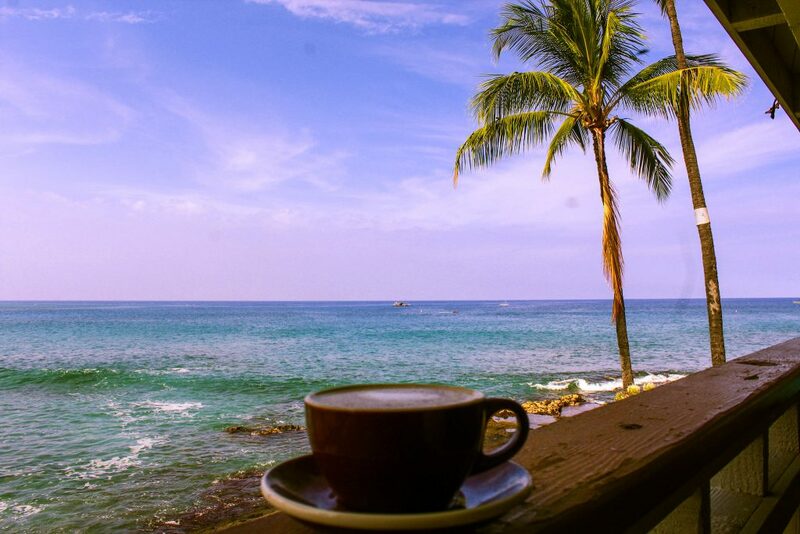 I would love to try some real Kona Coffee one day for sure! We just got back from Montreal recently and they have the best Bagels I have ever tried, not to also mention the Poutine! 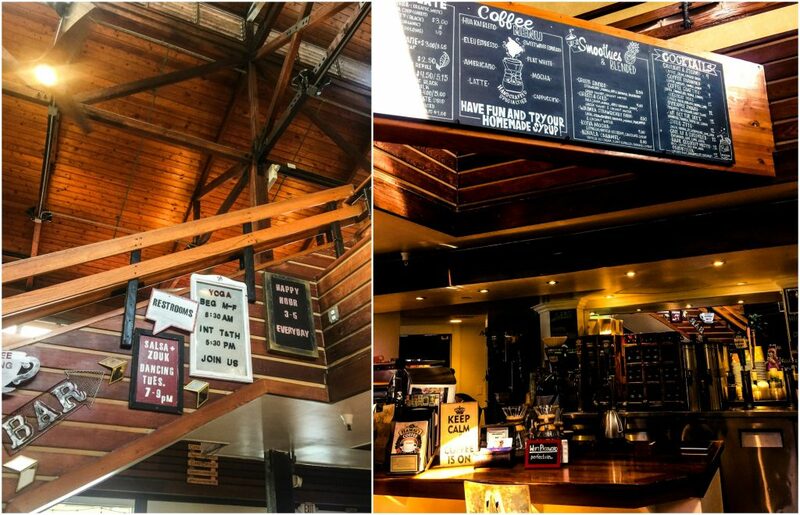 One of the best things about traveling for sure is the great food and coffees you get to try. Mandala Stones do look really fun, I will need to do one eventually. I haven’t ever taken a red eye before (I am more of an early flight person), but at least you probably miss the crowds which is a plus. 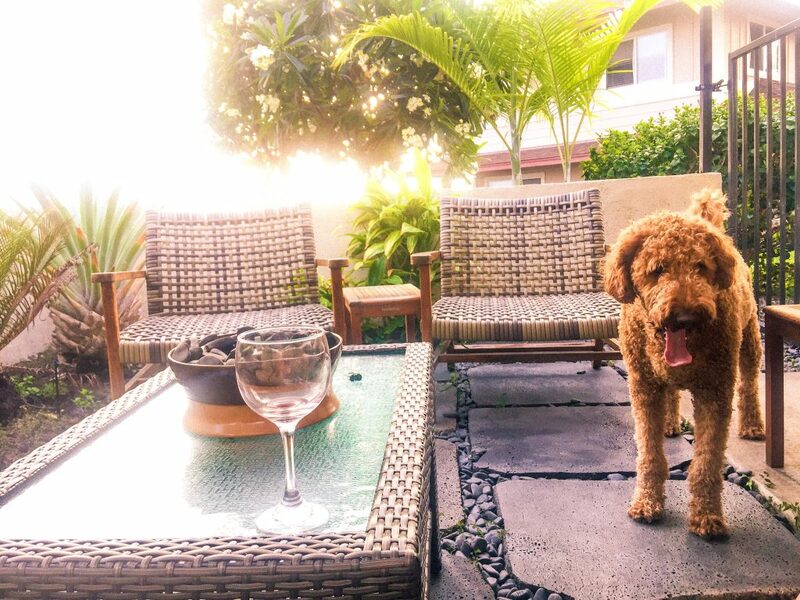 But if you are like me, as much as I love to travel I do also love being back at home, especially with those two adorable fur balls! 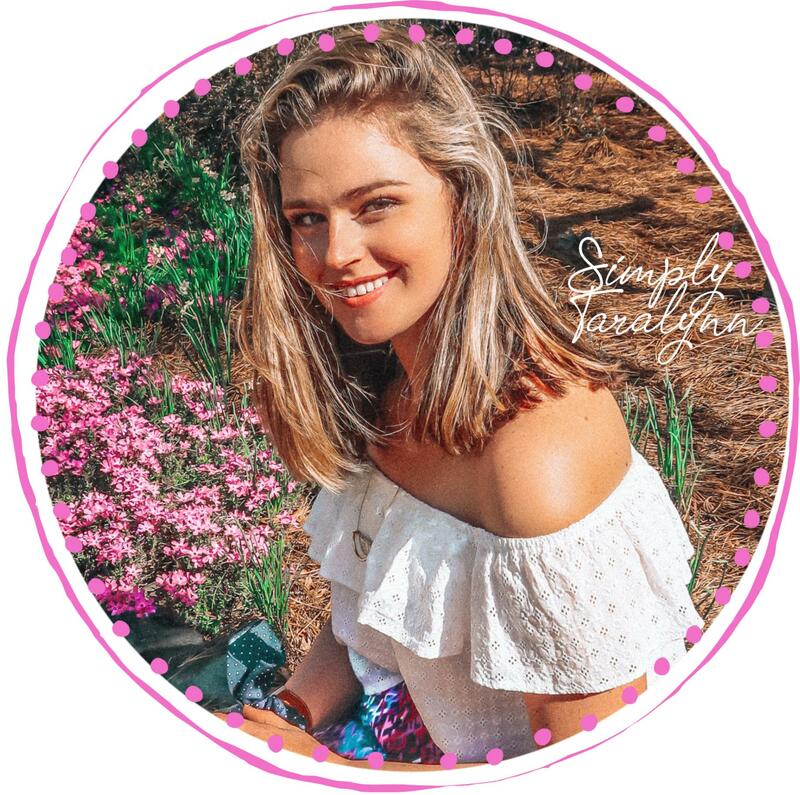 Thank you for the beautiful post and keep them coming…I always look forward to them and your inspiration every week! Kona coffee is life changing. I bought an extra bag just to bring a ton of it home. OHHHH those bagels sounds amazing. I’m a sucker for a good bagel. My first job was actually at a coffee/bagel shop lol No matter where you are going, IT ALWAYS feels good to be home, always! & I was so happy to see the pups!!! & Kyle of course! 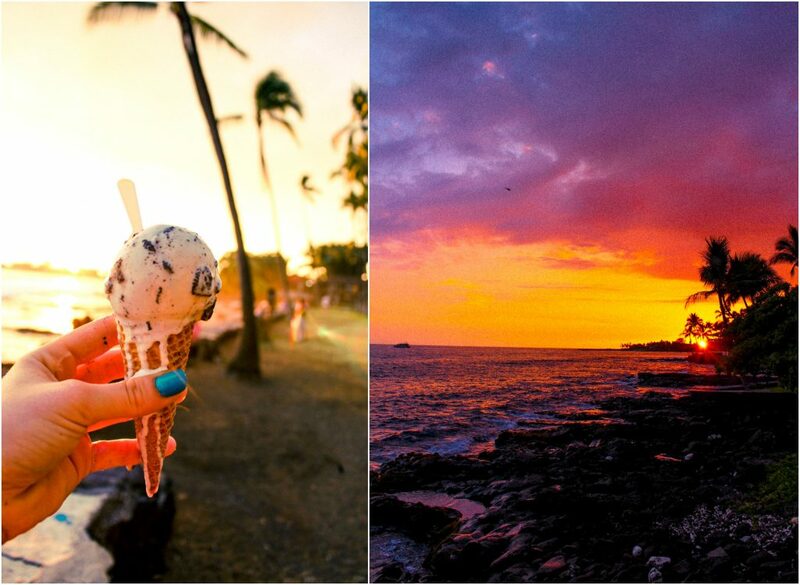 ugh these pictures are making me miss hawaii so much! HOW crazy are those sunsets?! literally no filter needed. 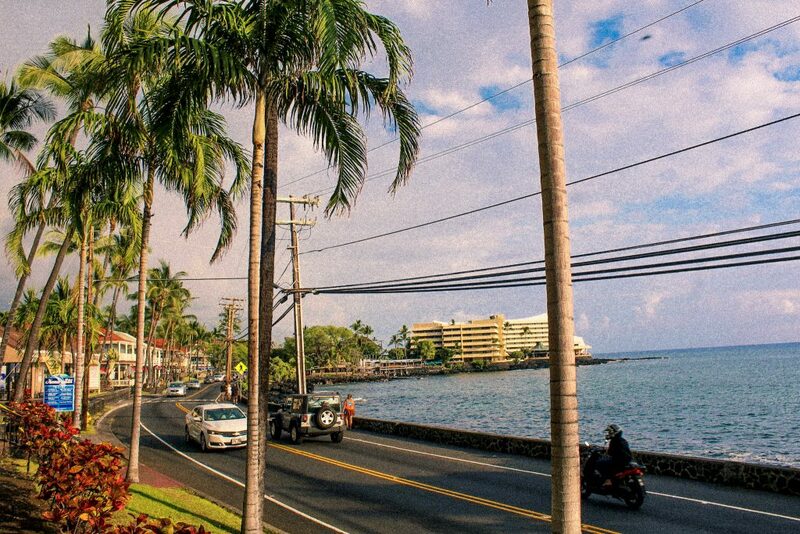 there’s something about hawaii that just makes everything so much more peaceful and pleasant, i think because there’s so much beauty everywhere you turn! i’m not the biggest fan of red-eyes, but i honestly always take them just because they allow you to get the most out of your time! i live across the country from my family, so the red-eye from LA to NY is a staple of mine! OHHHh yes, in your case you have to! 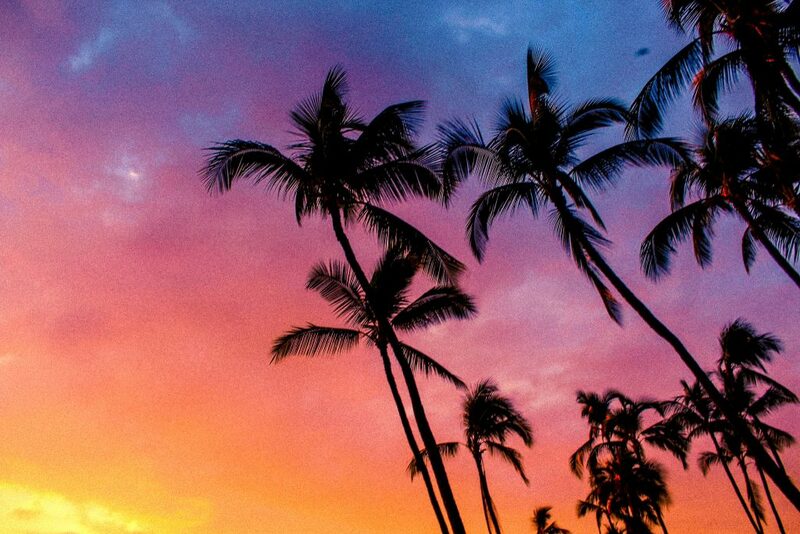 Those sunset pictures are just indescribable!